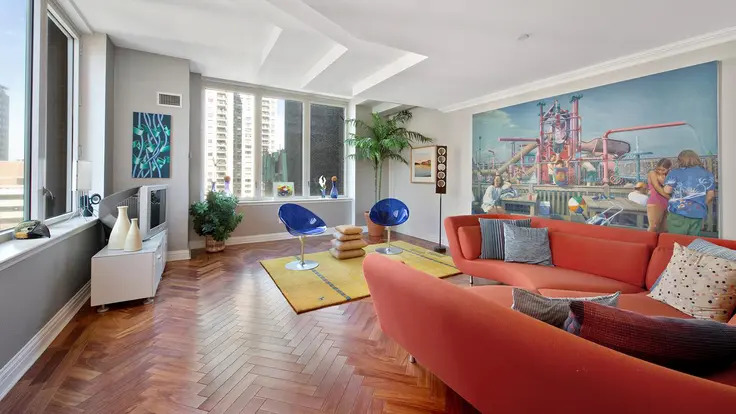 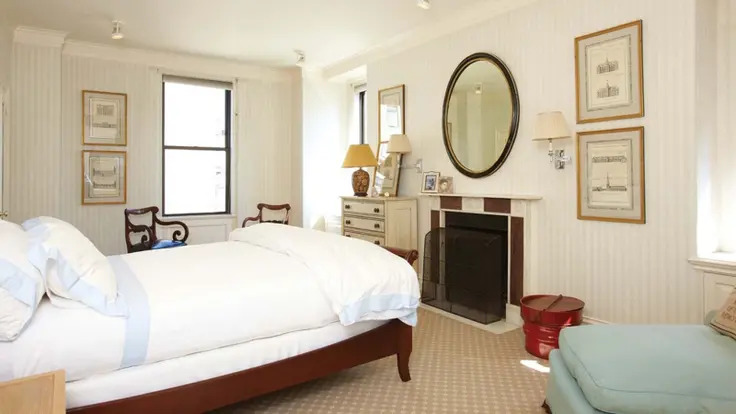 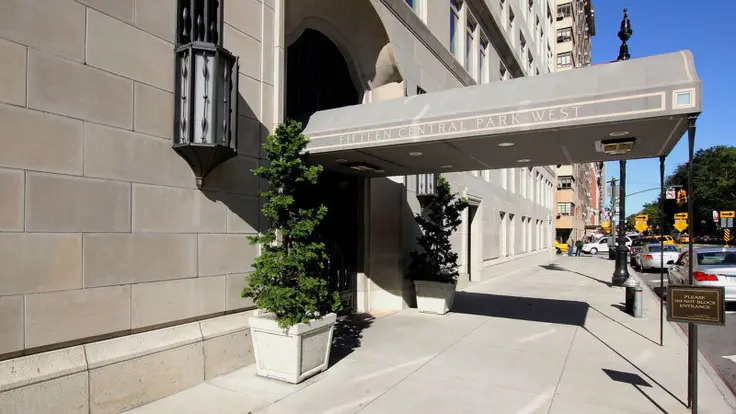 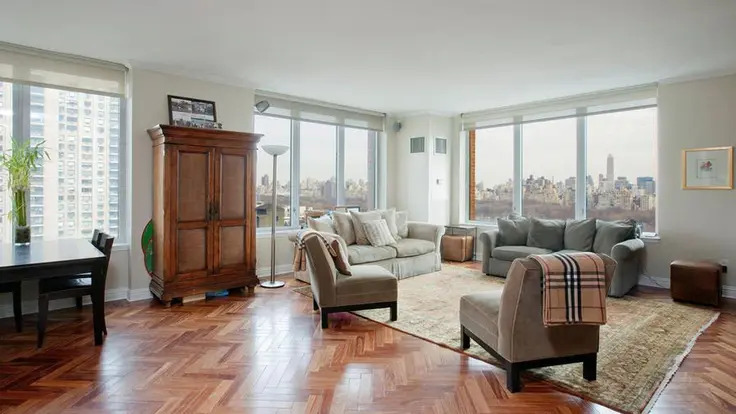 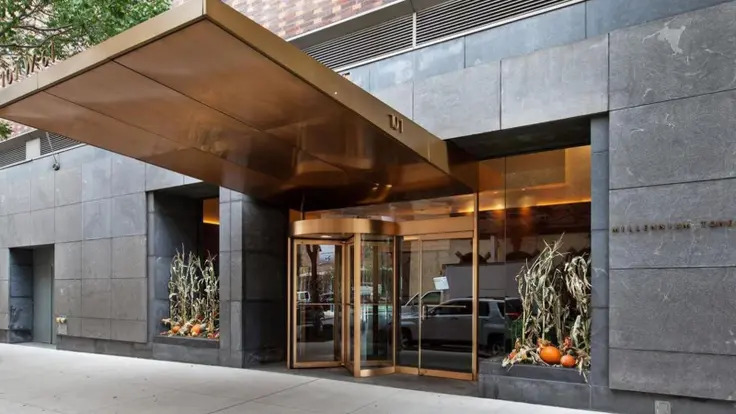 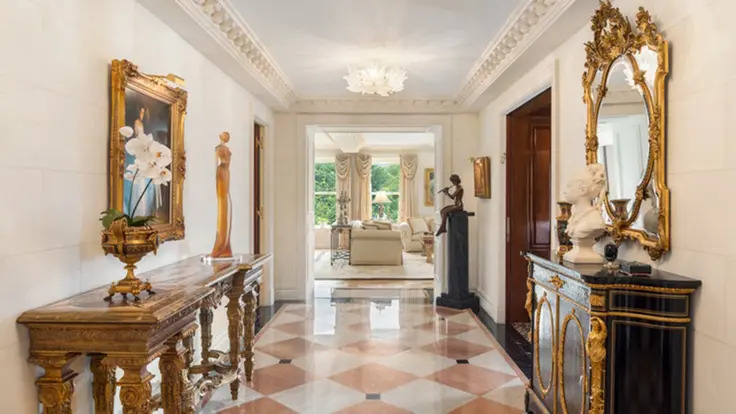 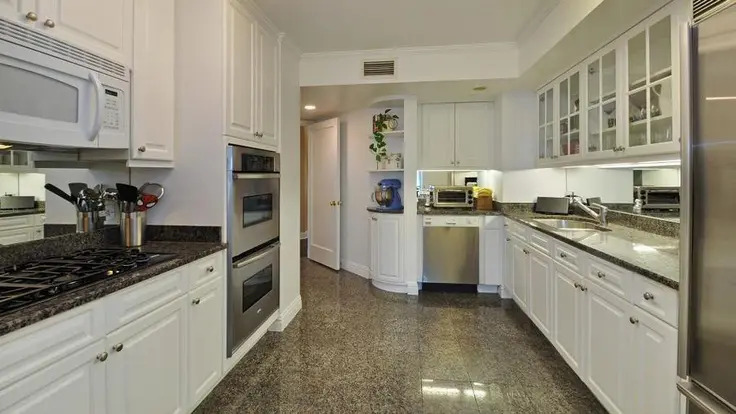 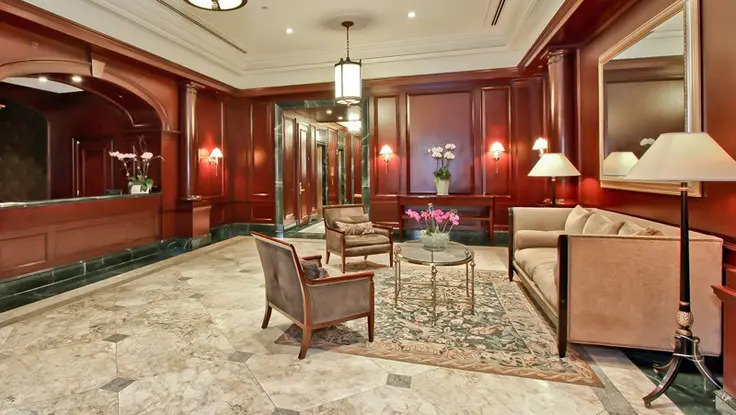 The 14-story structure at 988 Fifth Avenue on the southeast corner at 80th Street is one of the most elegant and exclusive buildings on the avenue because of its very fine detailing and the fact that it has only 12 condominium apartments. 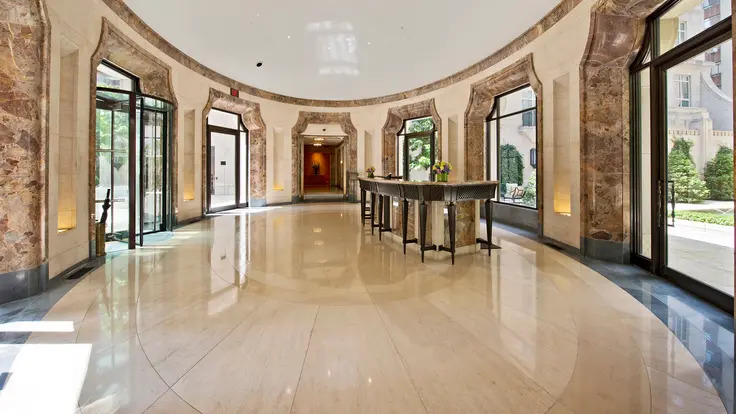 Exquisitely designed in Italian-Renaissance-palazzo-style by J. E. R. Carpenter, this building has a sidestreet entrance and sidewalk landscaping. 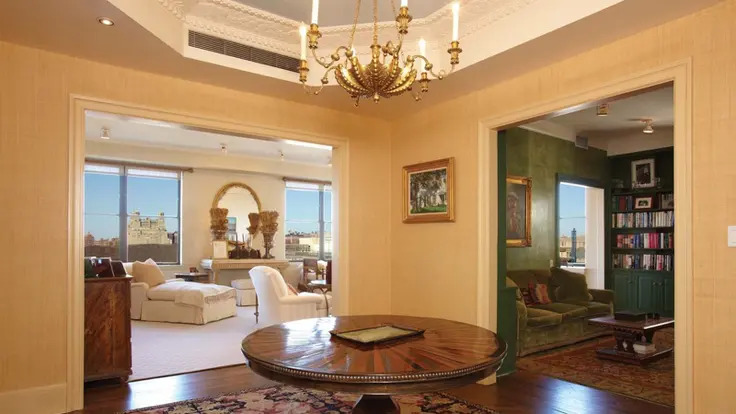 It was built in 1926 and converted to a condominium in 1981, one of the very few on Fifth Avenue. 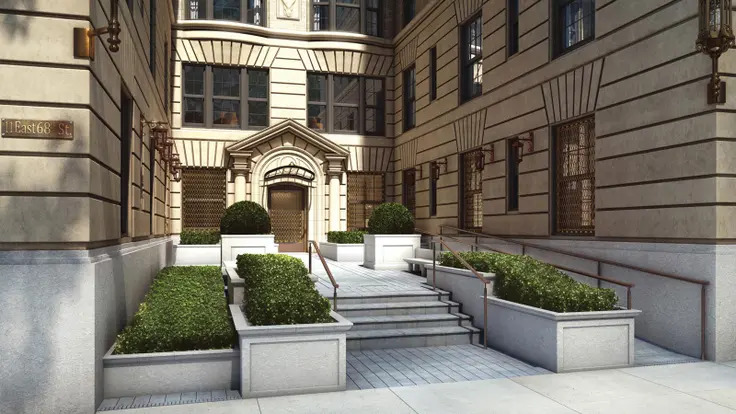 The building was developed by the Lion Brewery of New York, of which Hugh A. Murray was president. 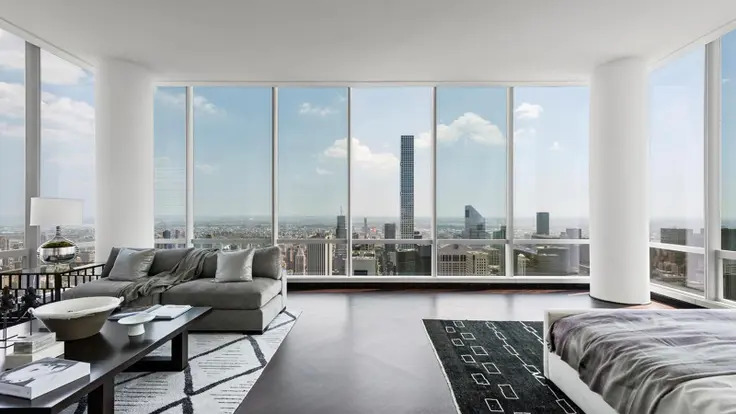 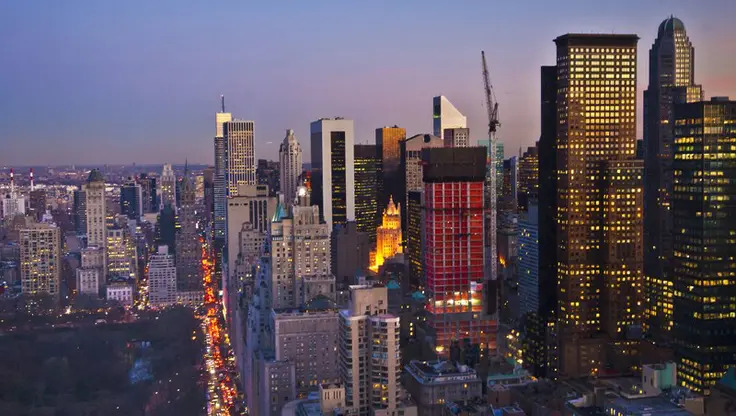 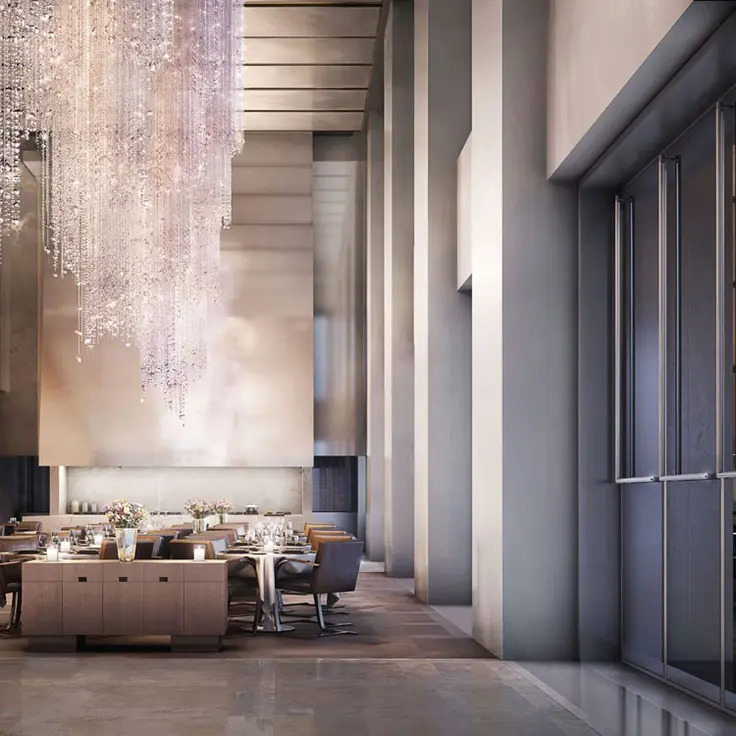 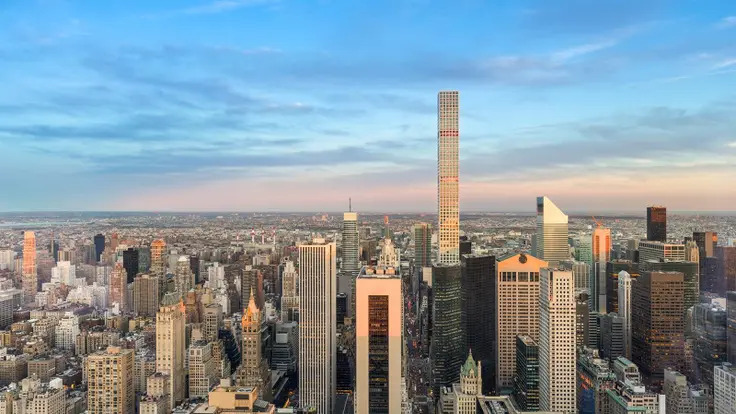 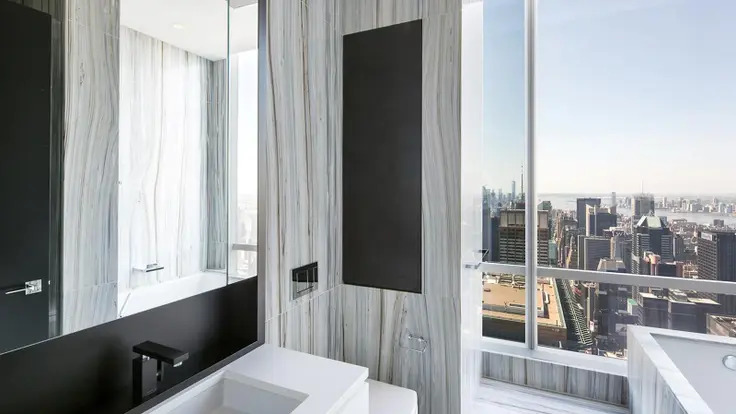 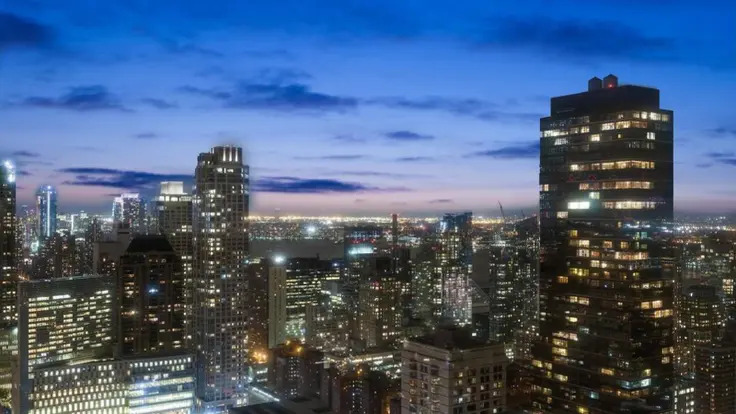 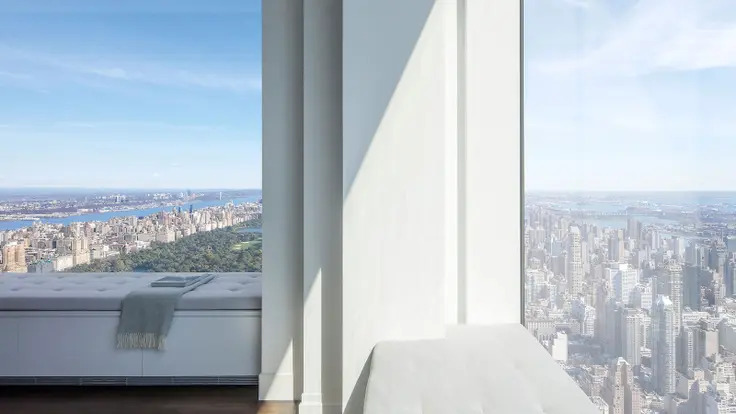 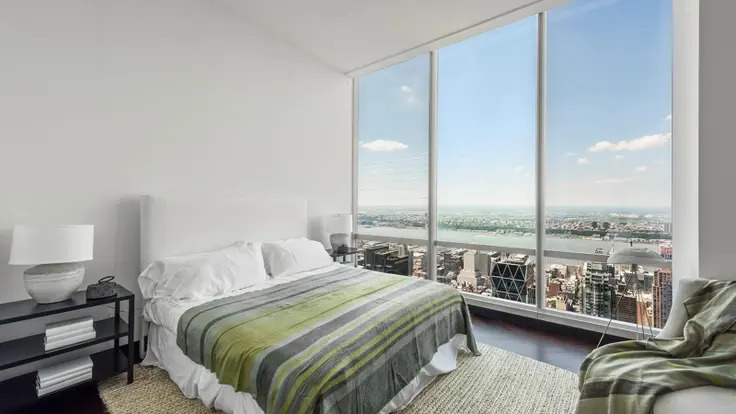 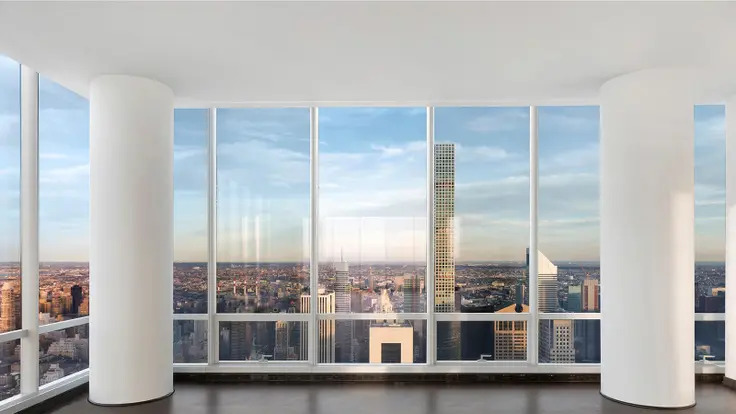 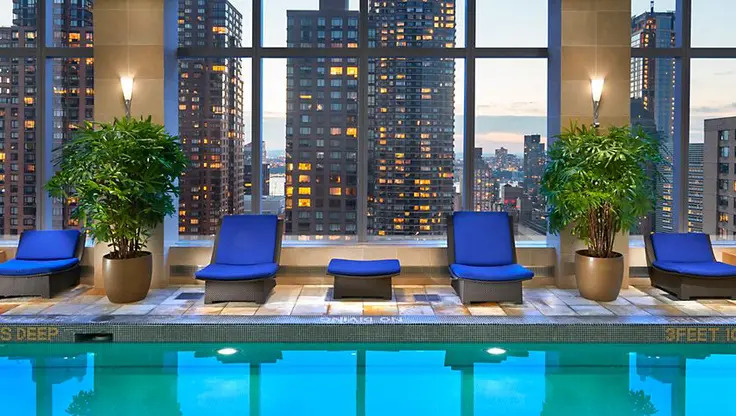 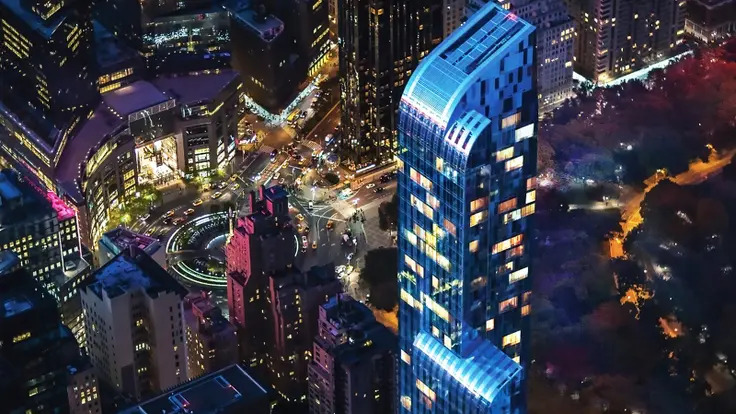 The Residences at the Ritz Carlton at 50 Central Park South are on the top 12 floors of the 33-story Ritz-Carlton Hotel building on the southeast corner at the Avenue of the Americas. 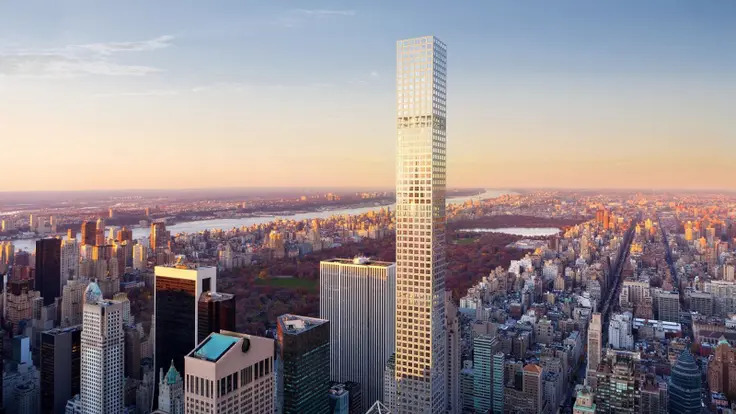 There are 11 very large condominium apartments on those floors and 259 hotel rooms beneath them in the building that was originally the St. Moritz Hotel designed by Emery Roth in 1930. 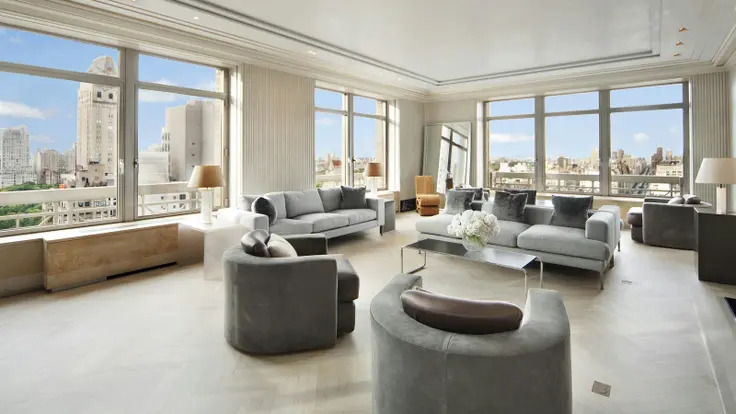 The 2002 conversion of the St. Moritz into the Ritz Carlton and the creation of the Residences were by Millennium Partners, of which Christopher Jeffries was a partner. 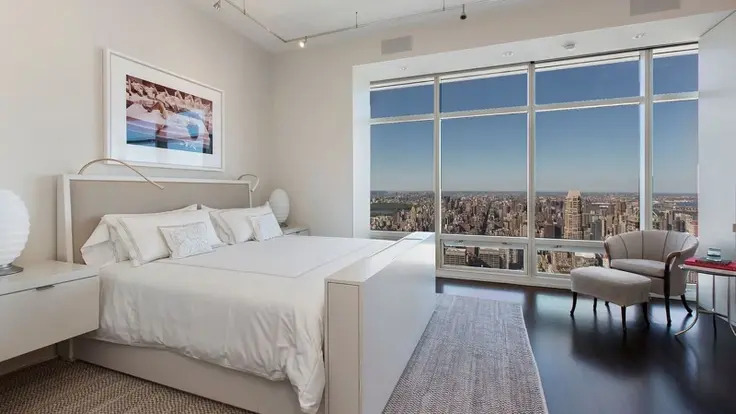 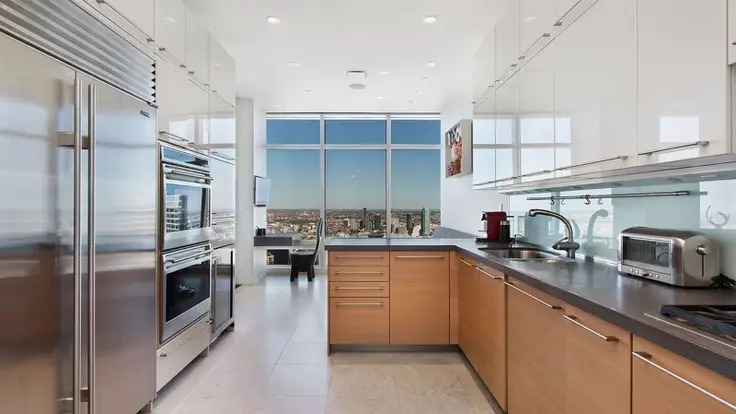 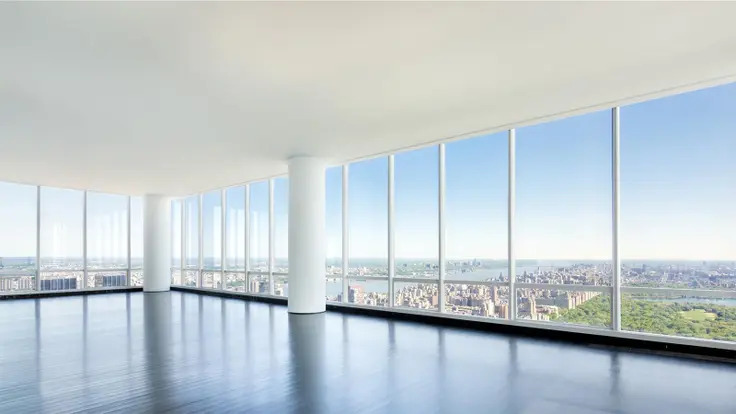 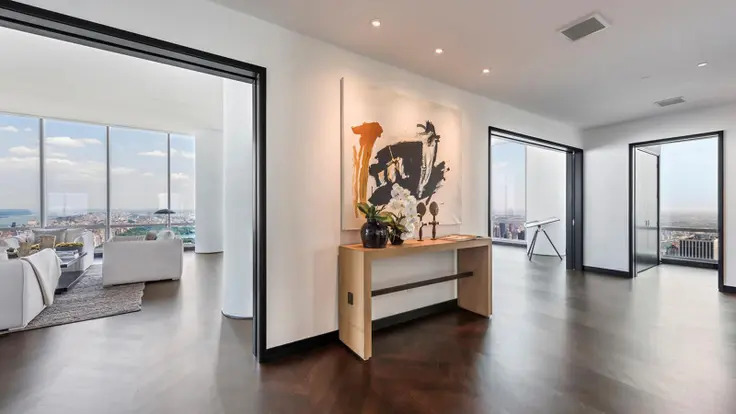 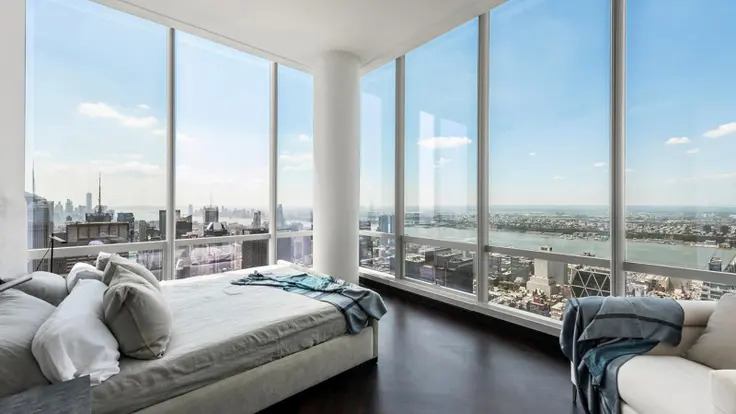 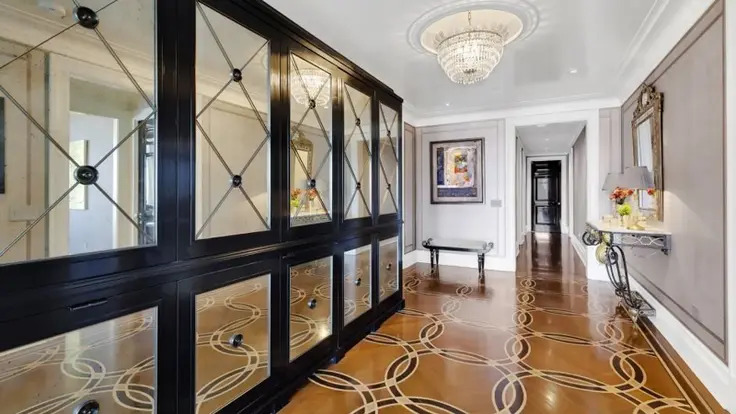 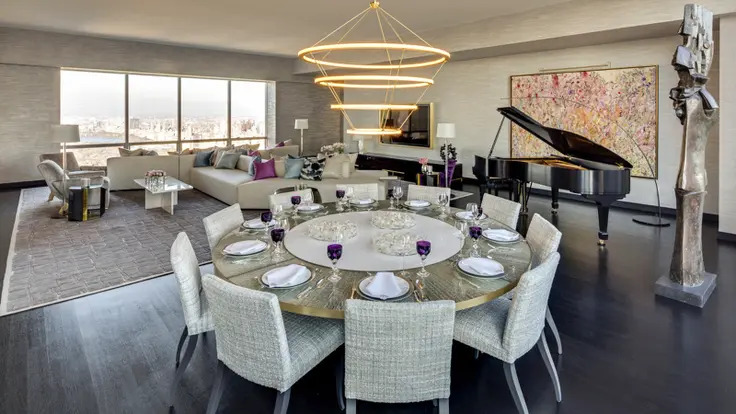 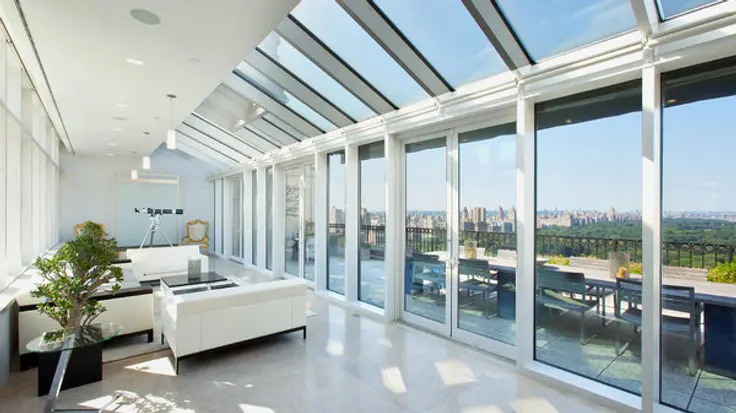 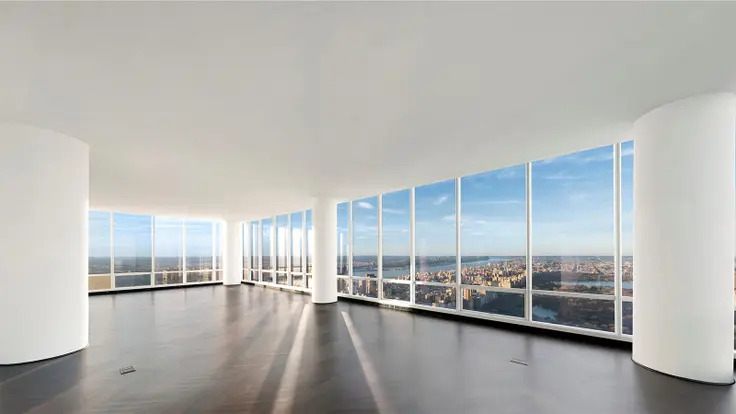 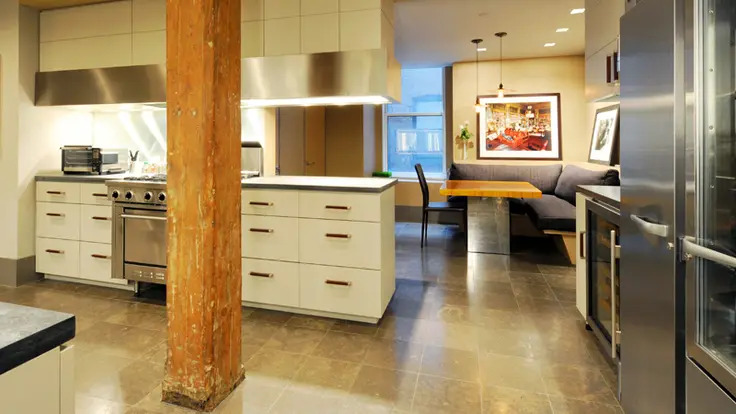 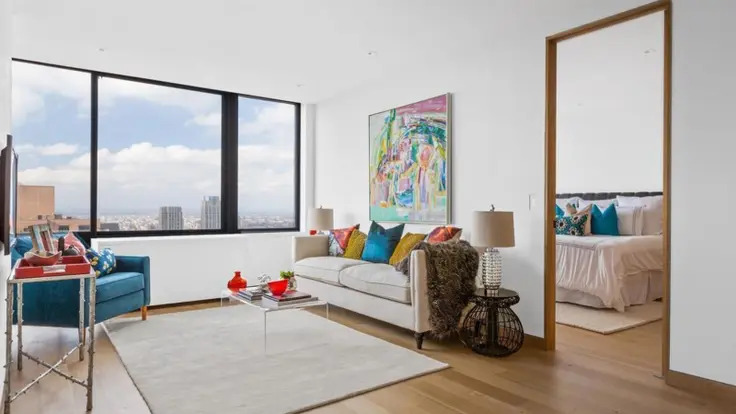 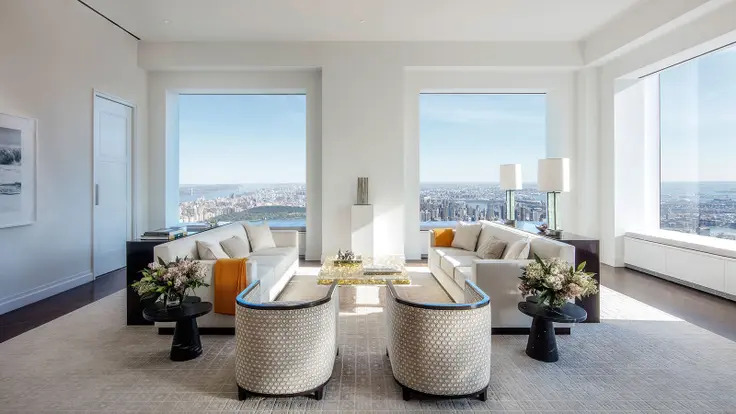 In 2008, Mr. Jeffries sold one of his apartments in the building for $28 million and in March, 2012 he put a duplex apartment on the 30th and 31st floors, that he had purchased in 2002 for $20 million, on the market for $77.5 million. 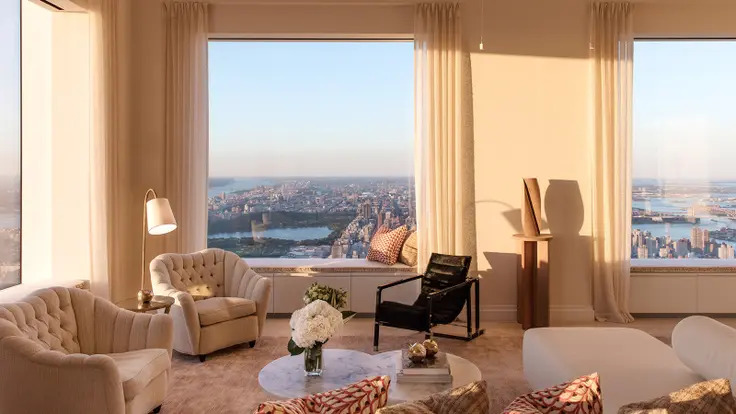 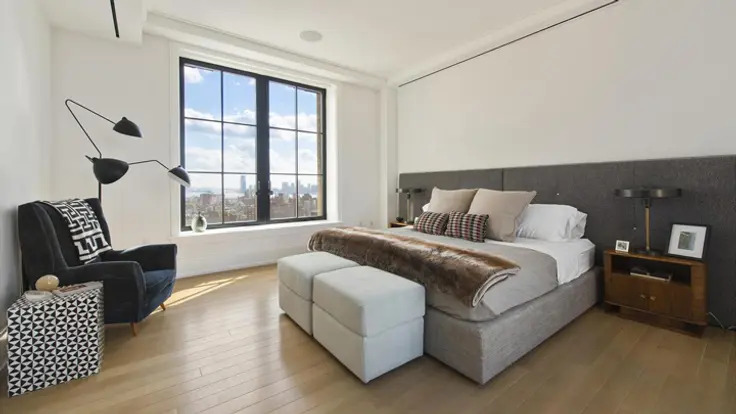 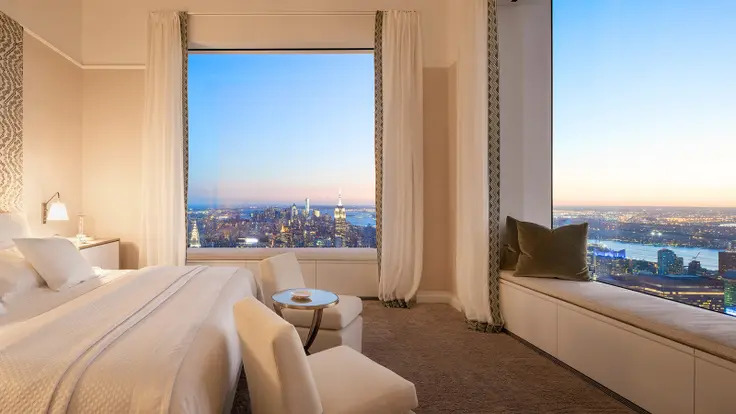 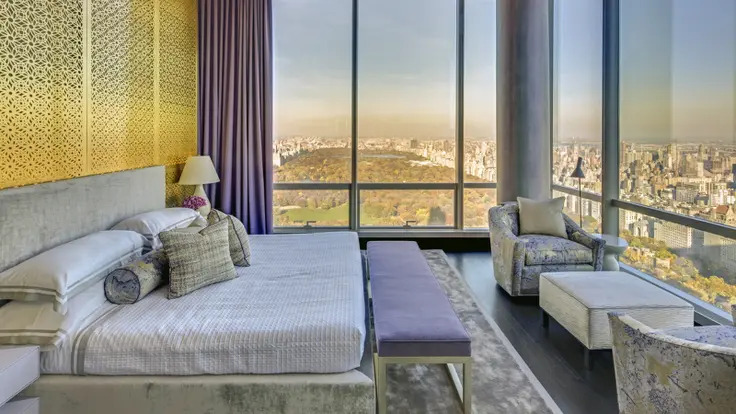 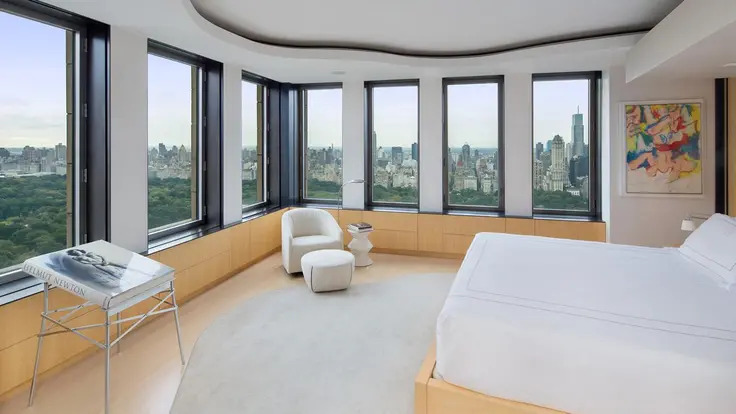 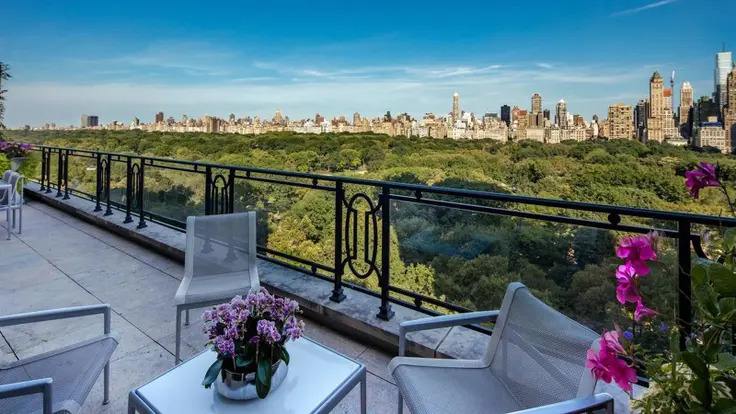 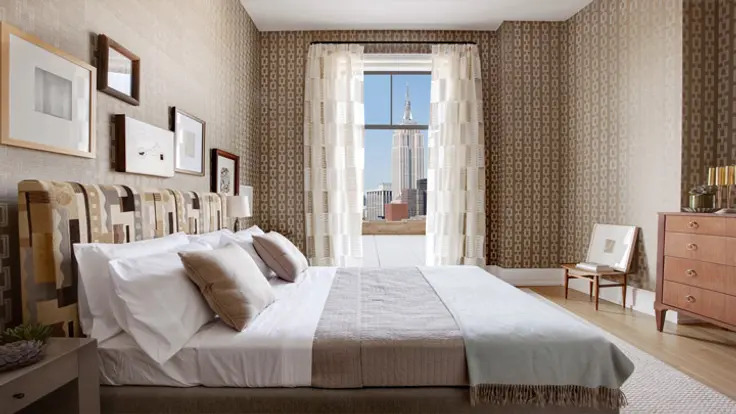 Part of the apartment was the hotel’s former ballroom, which boasts 15-foot-high ceilings and spectacular views of Central Park. 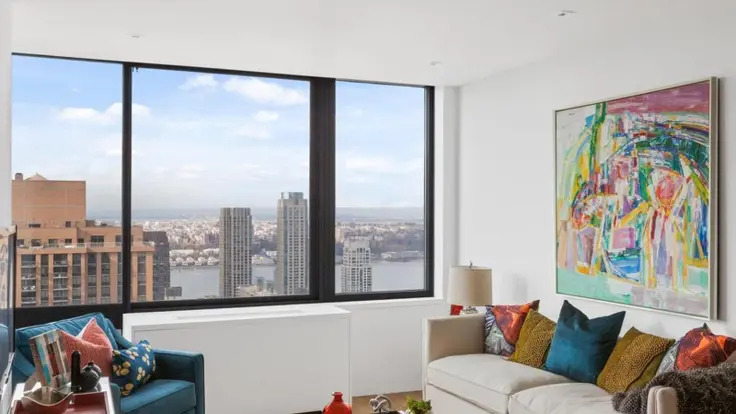 This 24-story building tower known as Walker Tower at 212 West 18th Street betweeb Seventh and Eighth Avenues in Chelsea was converted to 50 condominium apartments in 2012. 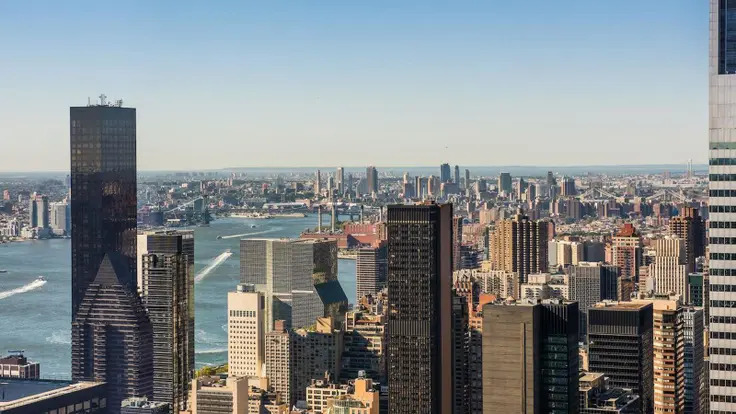 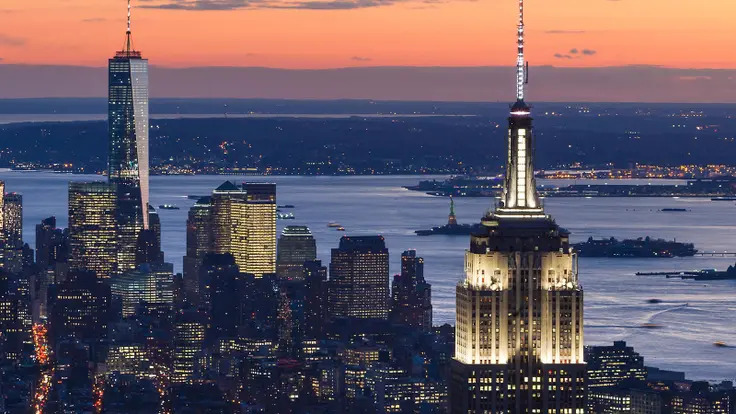 It is named after Ralph Thomas Walker, the Art Deco-style architect whose other buildings include One Wall Street and the Barclay-Vesey Telephone Building at 140 West Street, two of Lower Manhattan’s masterpieces, and The Western Union Building at 60 Hudson Street. 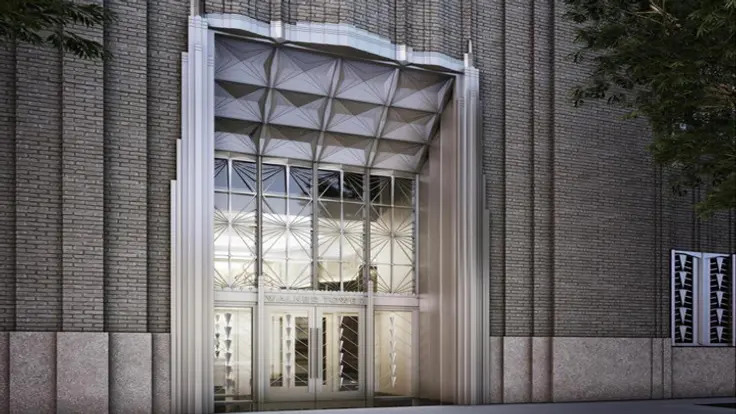 The lower 8 floors in the 1929 building house a Verizon switching station with an entrance on 17th Street. 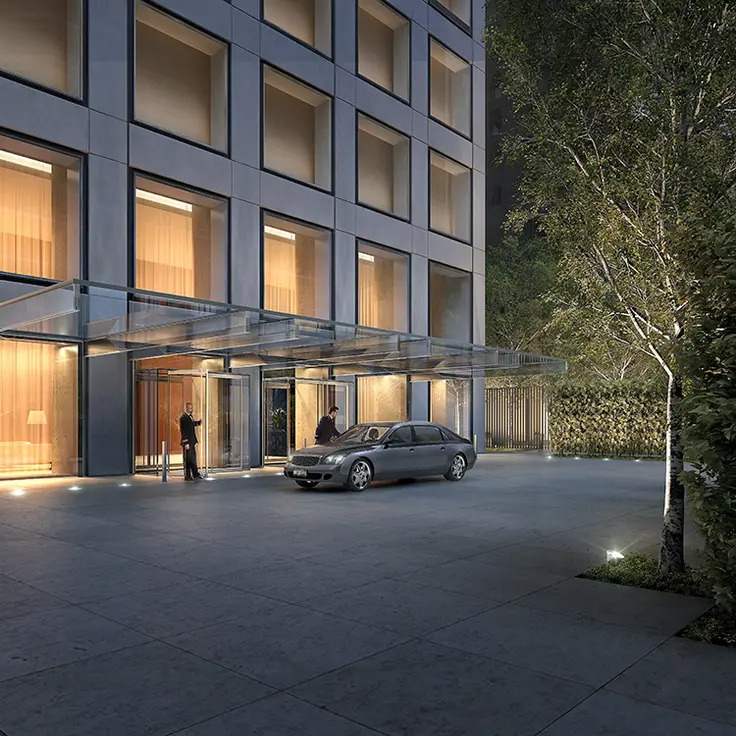 The residential entrance is through a small, two-story high wing on 18th Street. 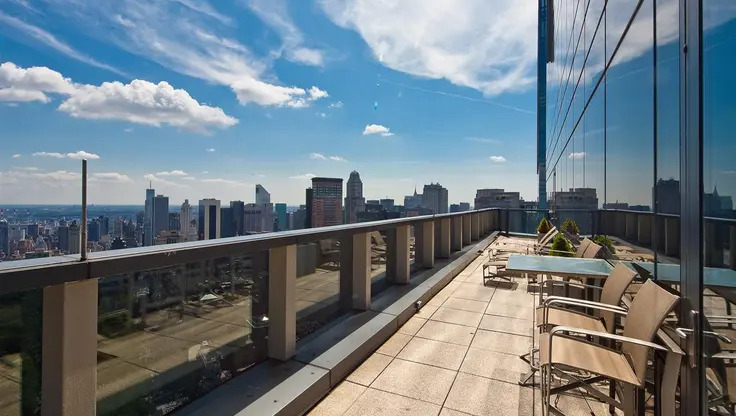 JDS Development Group and Property Markets Group undertook the conversion that was designed by Cetra/Ruddy and added four stories to the building and four thin spires atop the western end of the building, which was not an official city landmark. 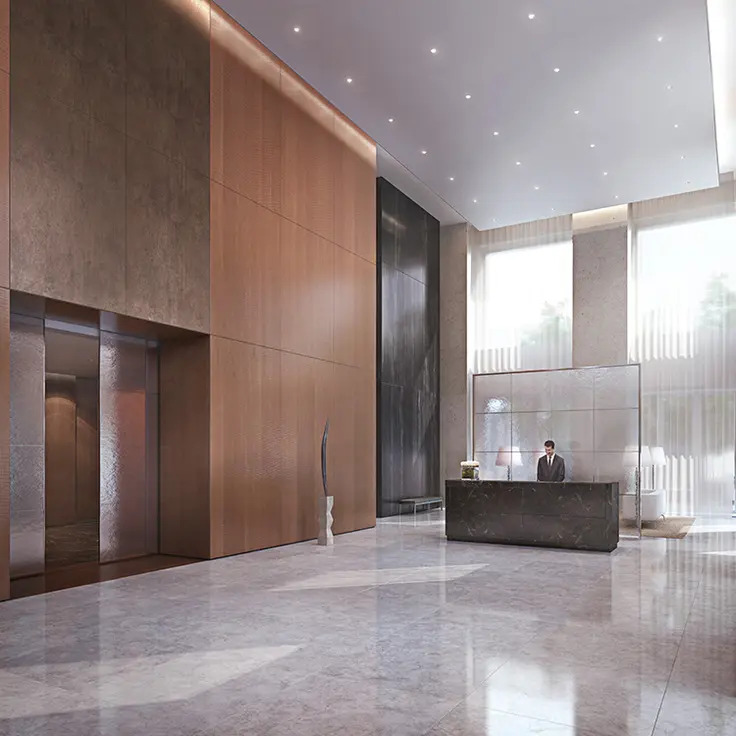 JDS Development Group and Property Markets Group's recent developments include 50 North 1st Street and 202 8th Street. 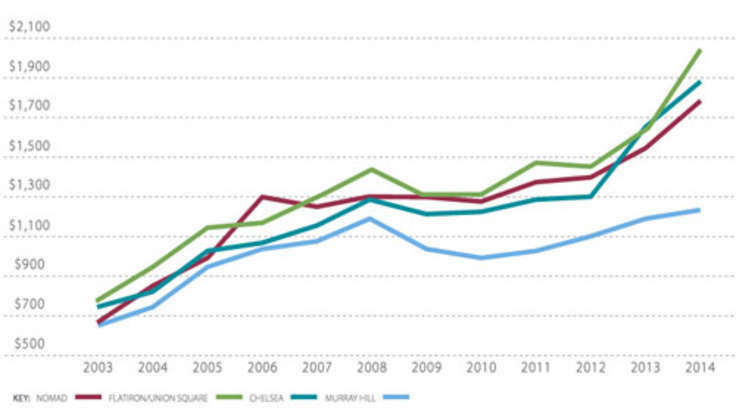 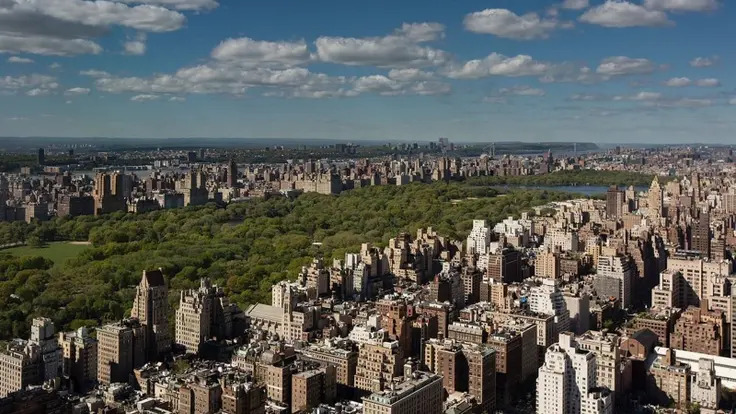 Other Property Markets Group projects include 823 Park Avenue, 500 West End Avenue and 171 MacDougal Street. 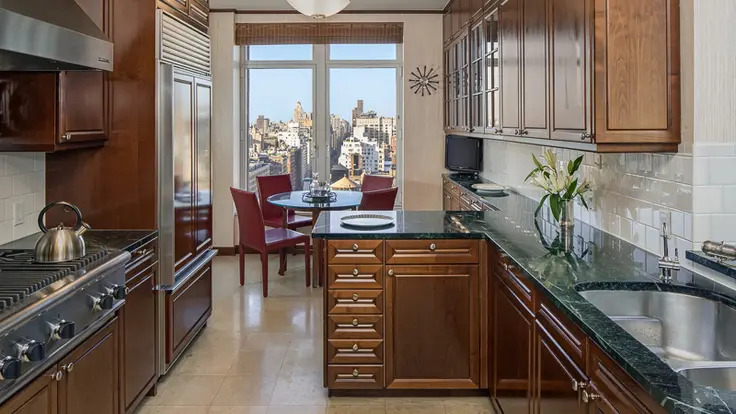 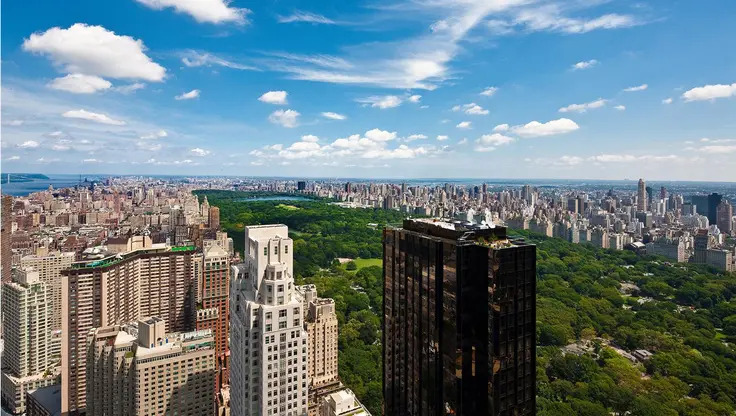 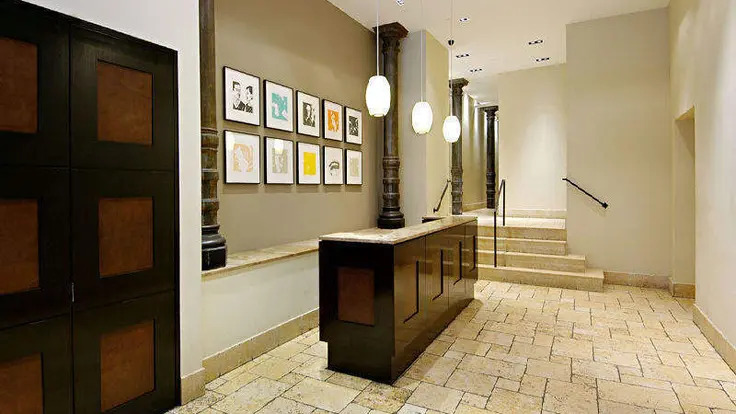 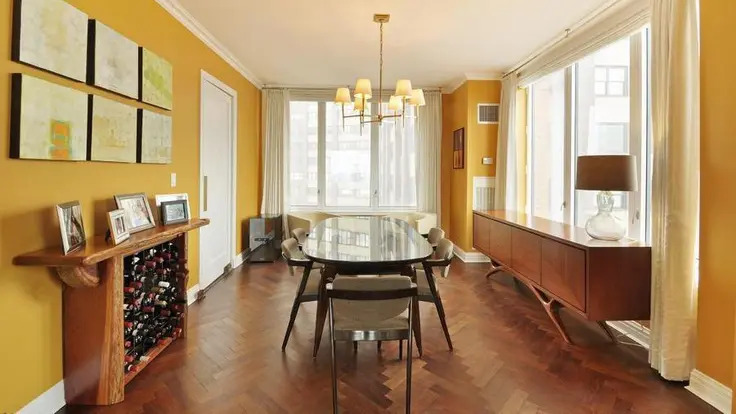 The Park Laurel at 15 West 63rd Street is close both to Central Park and the Lincoln Center for the Performing Arts. 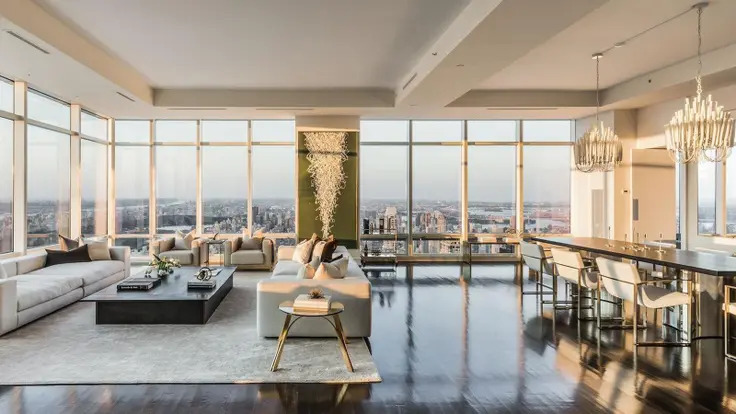 Beyer Blinder Belle and Costas Kondylis designed the 41-story Park Laurel, placing 56 residences between the 14th and 40th floors. 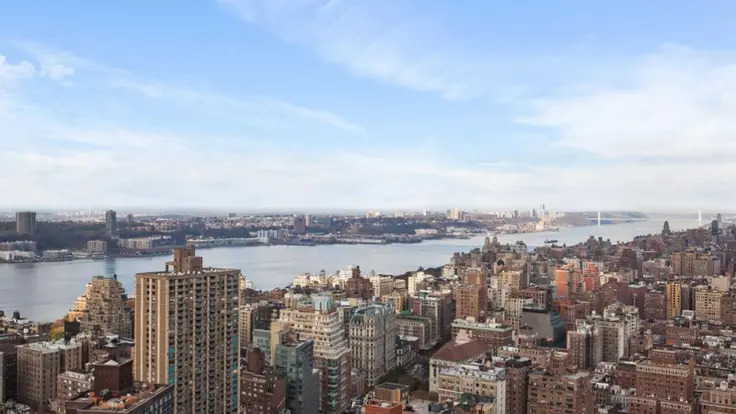 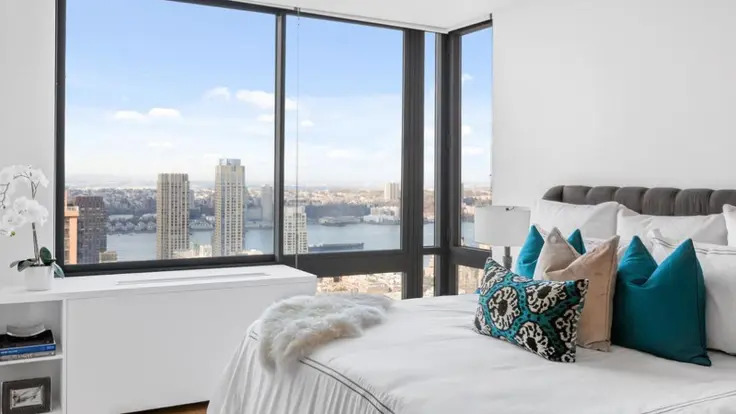 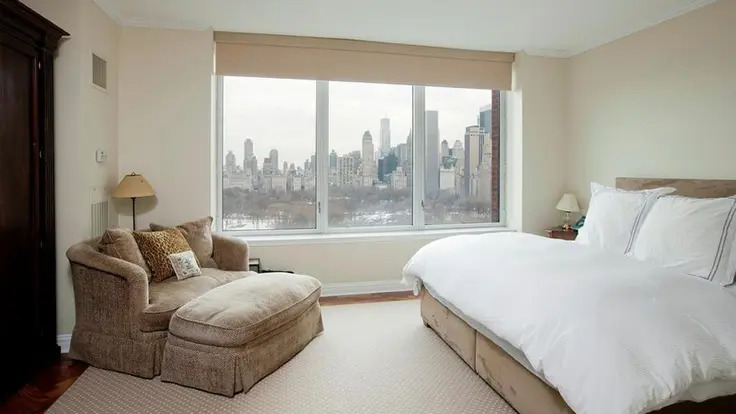 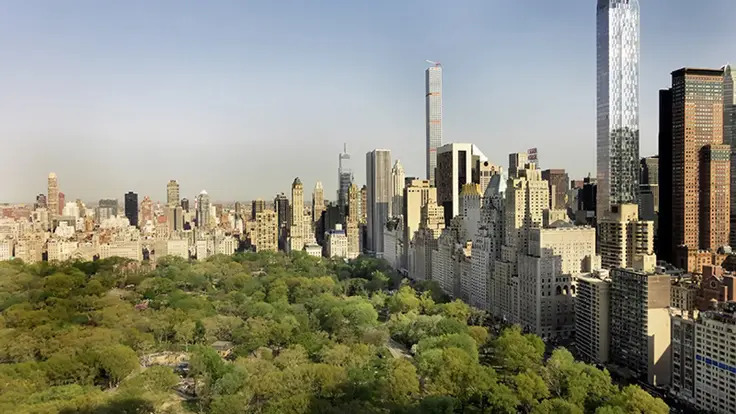 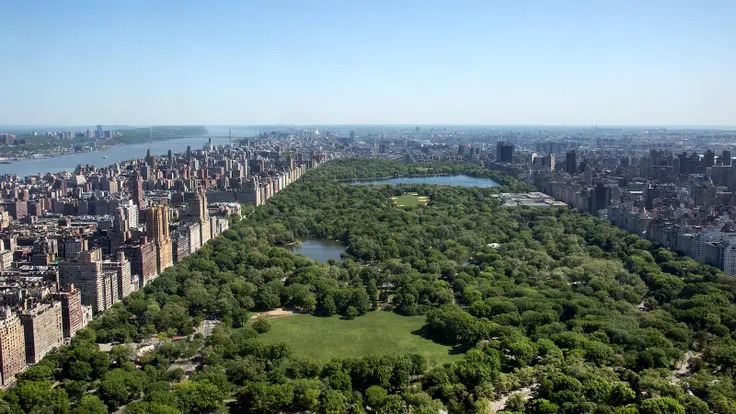 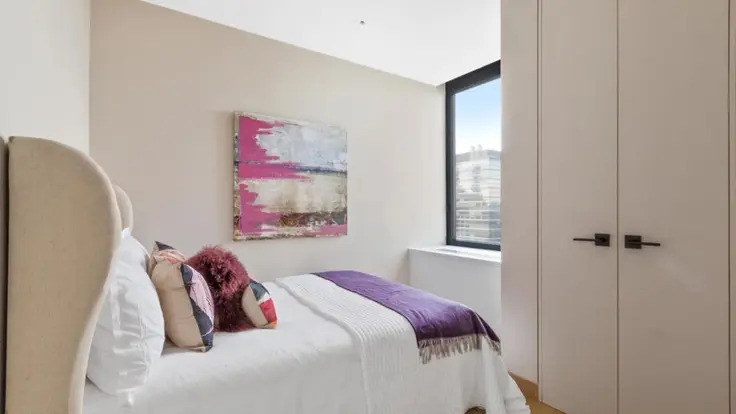 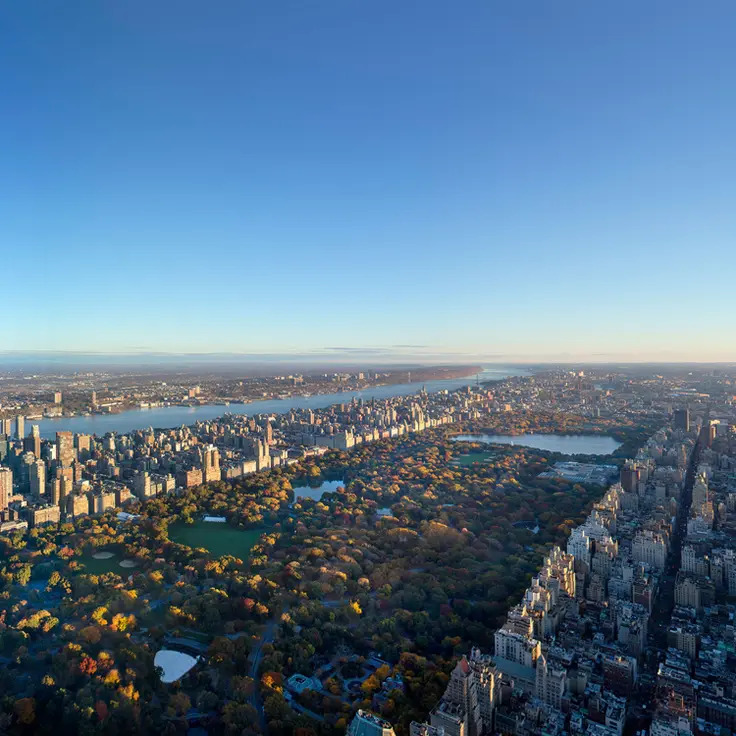 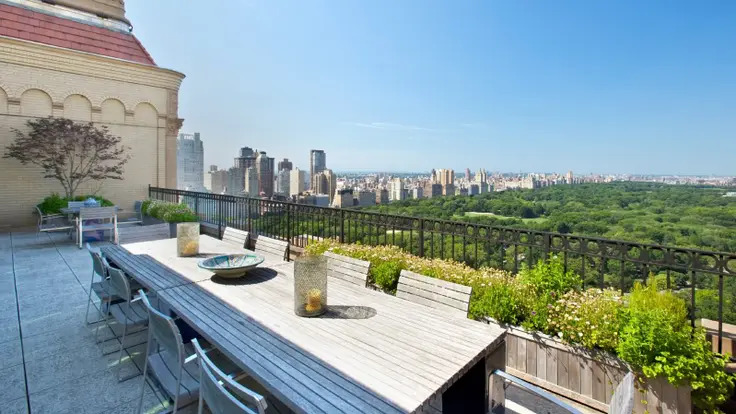 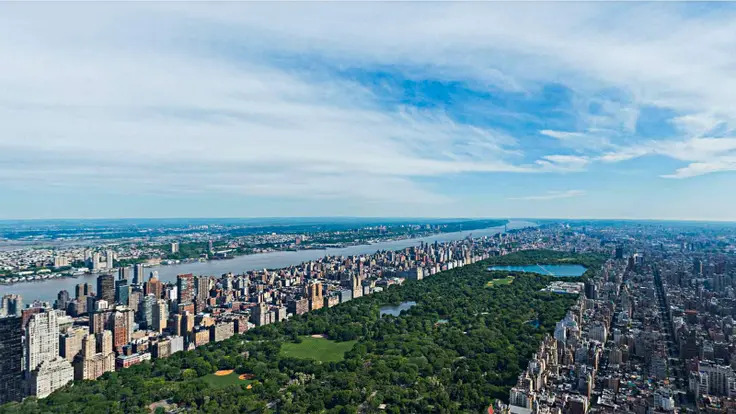 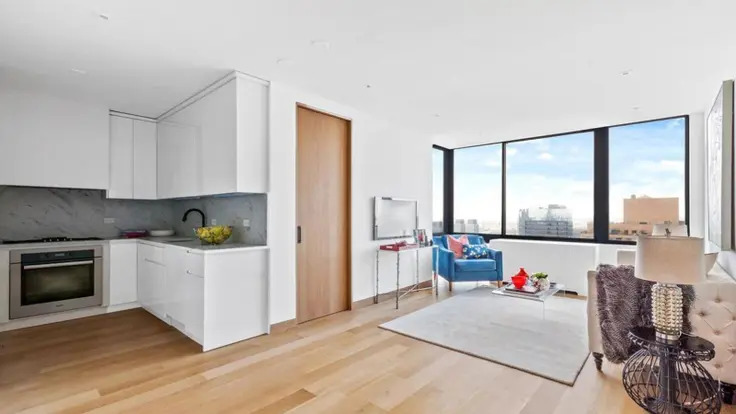 Nearly all apartments have sweeping views of Central Park, while all are spacious, with two- to four-bedroom units available. 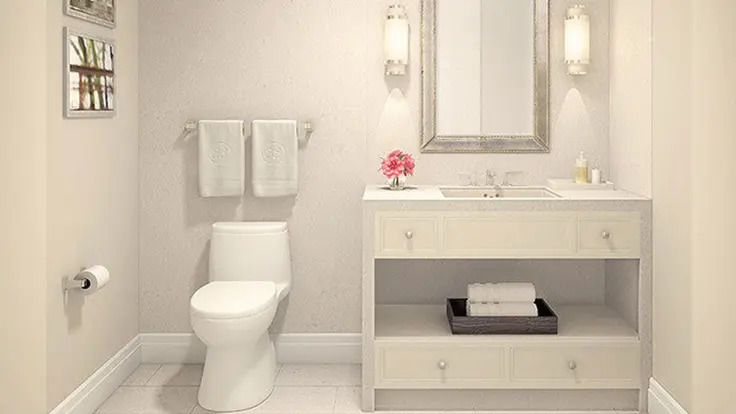 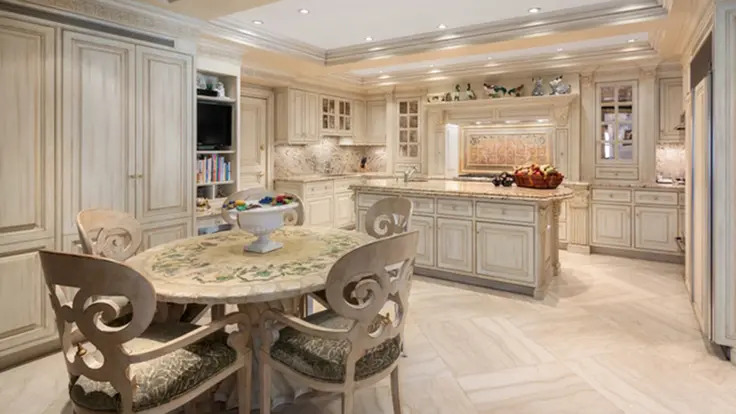 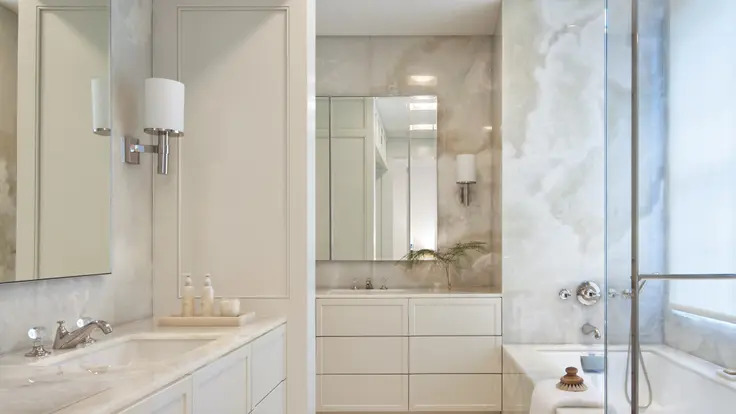 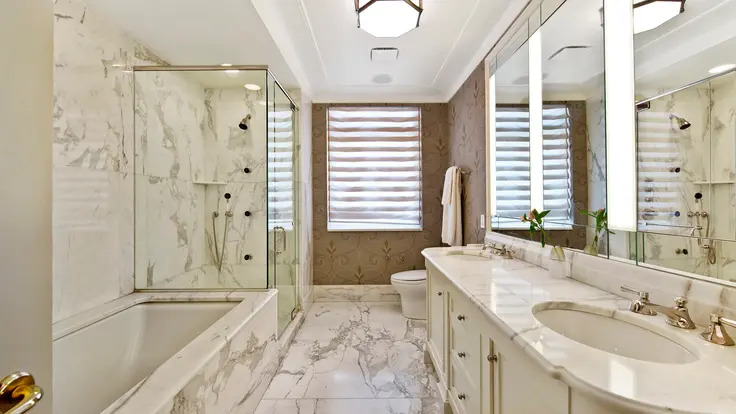 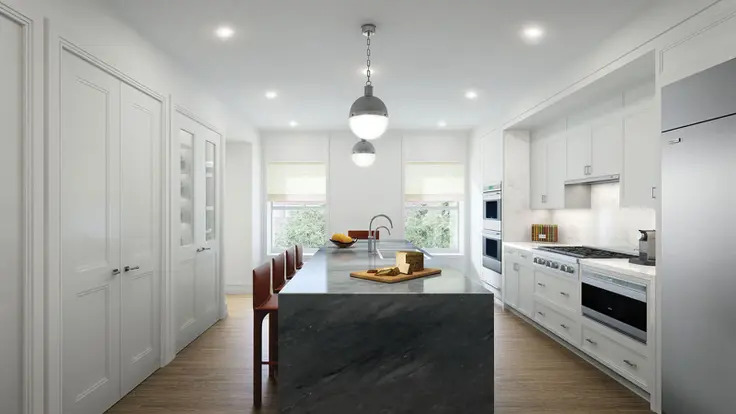 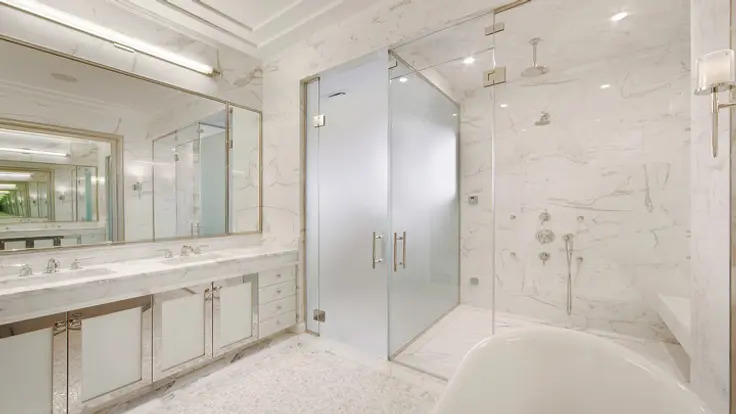 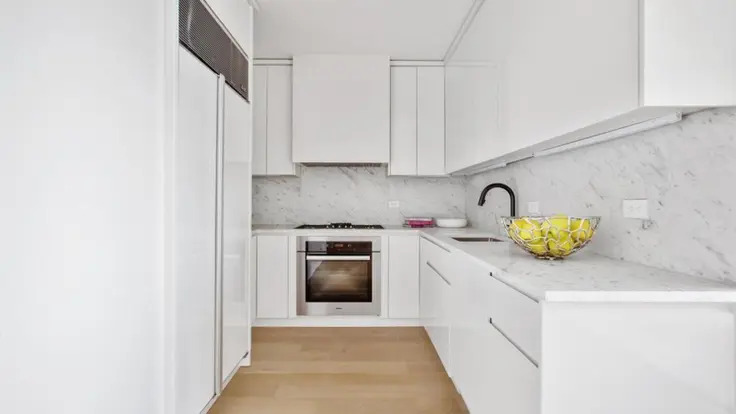 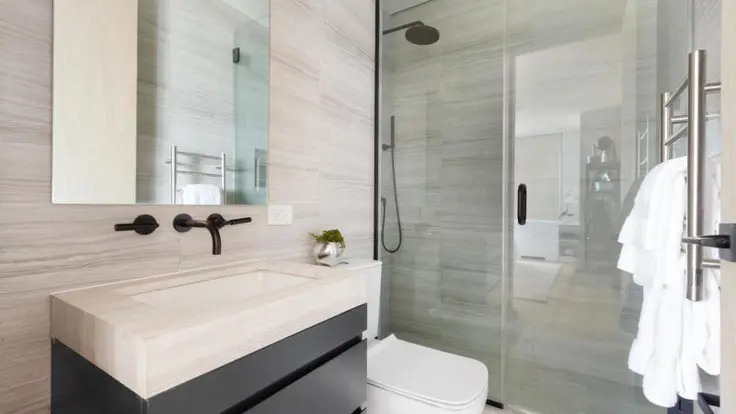 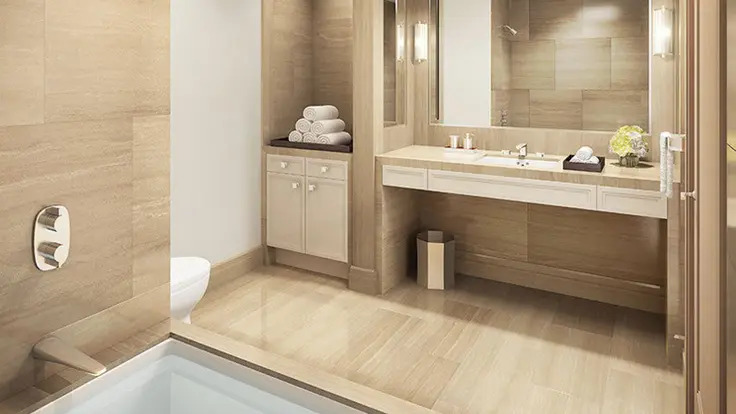 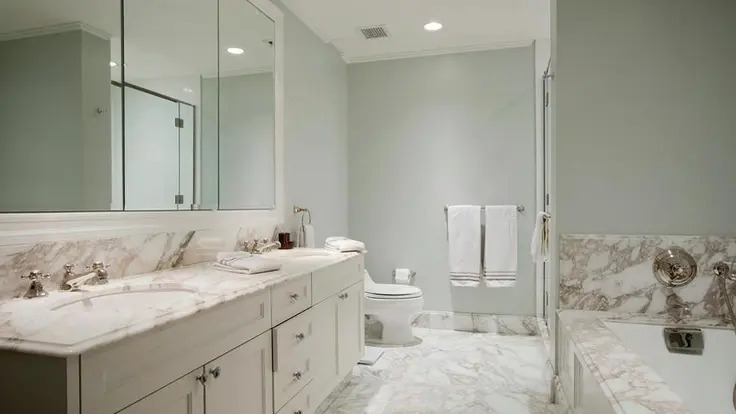 Master baths feature Calacatta Gold marble slab floors and double sink vanities and kitchens are outfitted with stainless steel refrigerators. 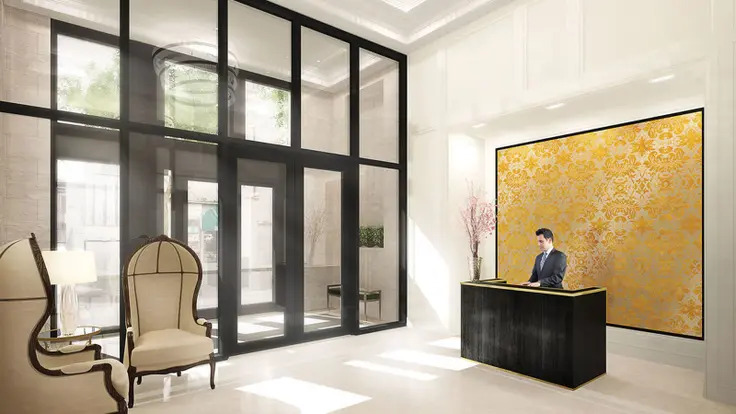 The pet-friendly Park Laurel has a full-time doorman, as well as 24-hour concierge service, a health club and gym, a children’s playroom and a ground-floor room that residents can use to store bicycles and strollers. 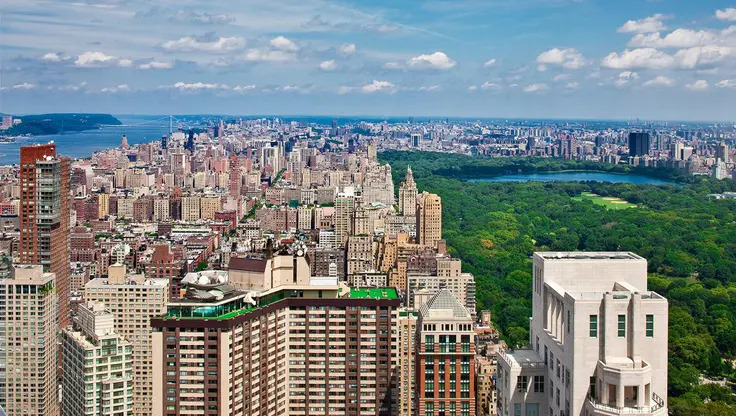 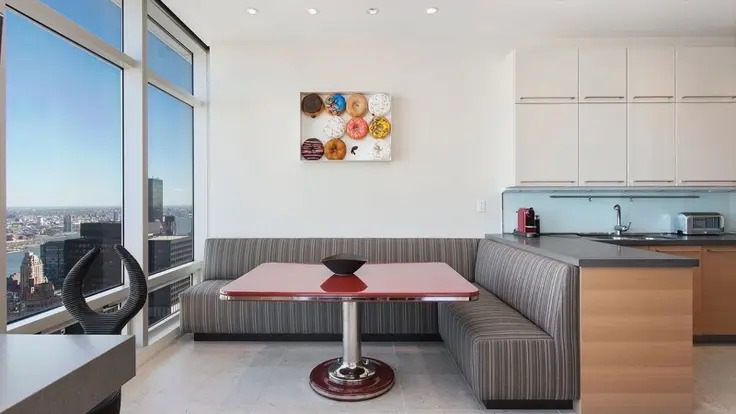 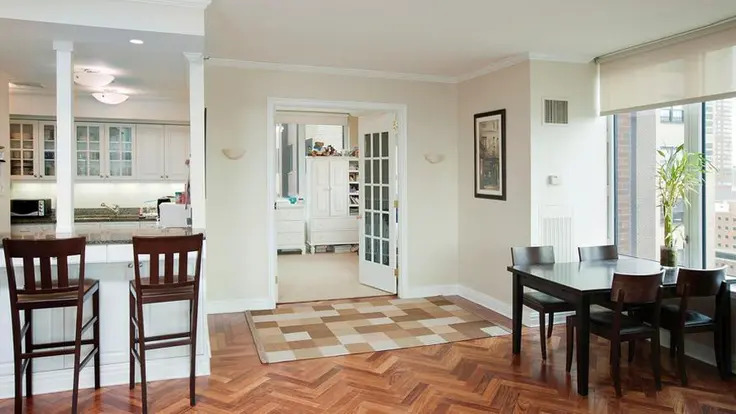 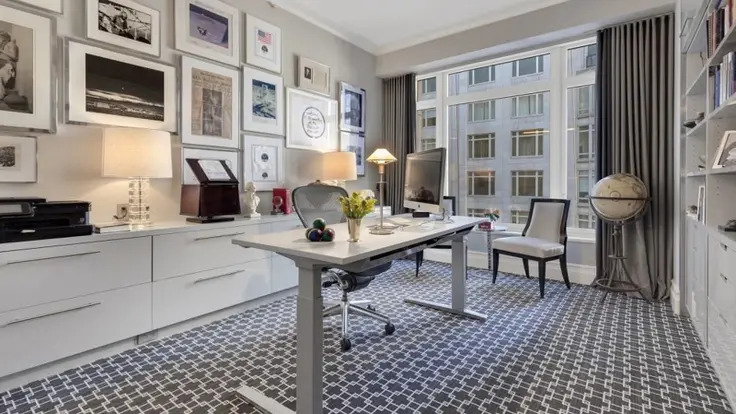 Its location also allows for easy access to Central Park, Columbus Circle and public transportation. 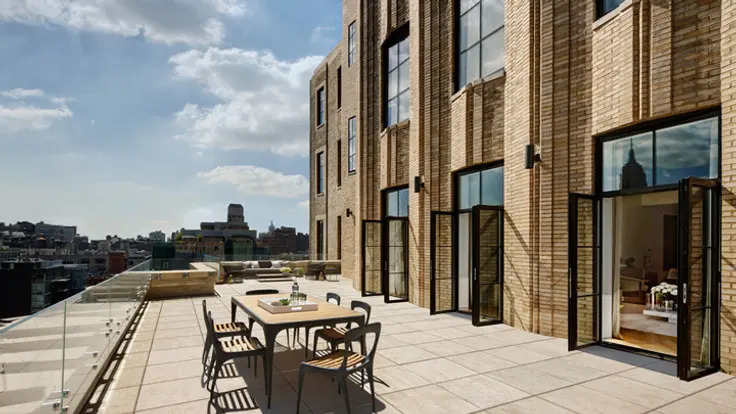 After a long planning process, the southward expansion of the Whitney Museum of American Art on the Upper East Side has retained the cornice line of the existing low-rise buildings and only their façades that have been redeveloped in 2014 into 10 large condominium apartments at 33 East 74th Street and no space for the museum that decided to relocate to a new building designed by Renzo Piano at the southern base of the High Line Elevated Park in West Chelsea and let the Metropolitan Museum of Art use its great building for contemporary art. 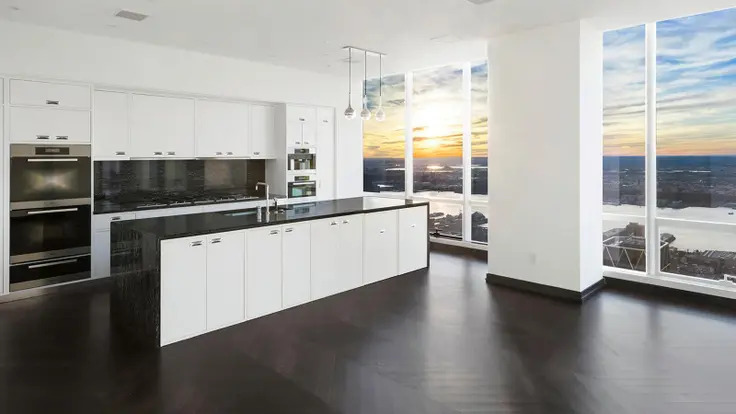 The development is known as Whitney Condos. 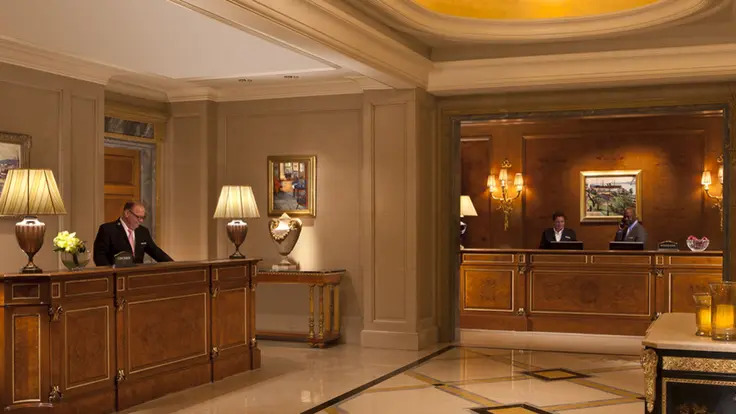 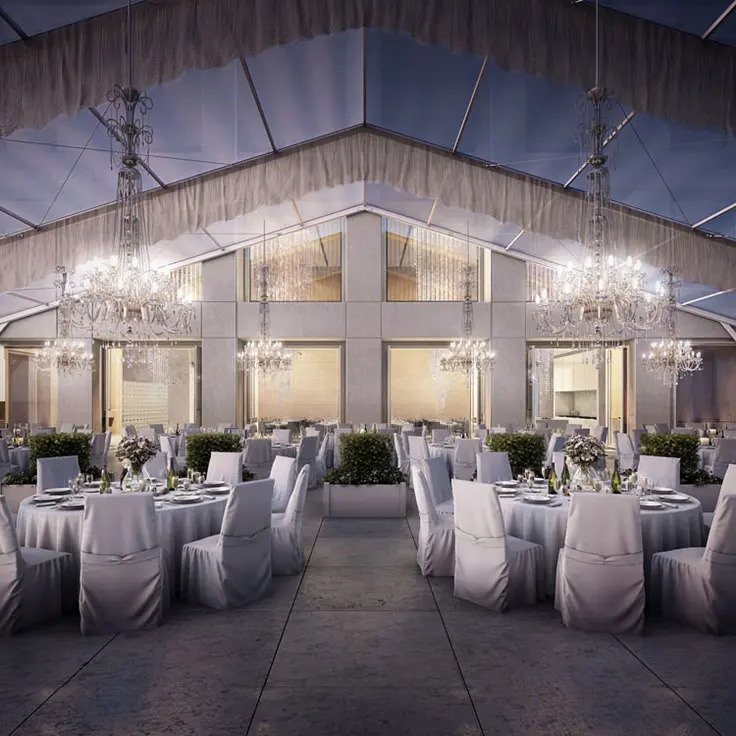 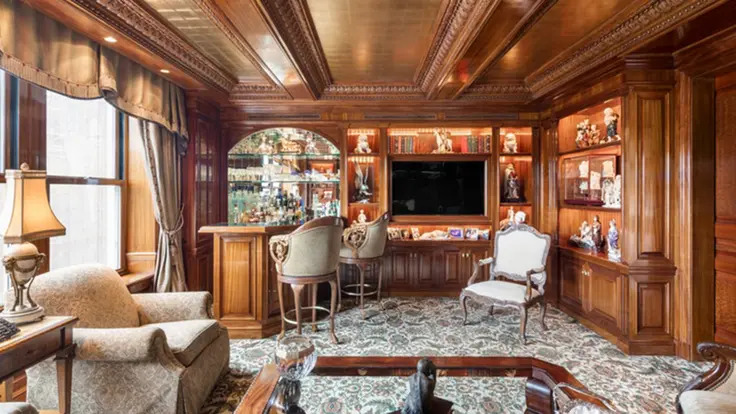 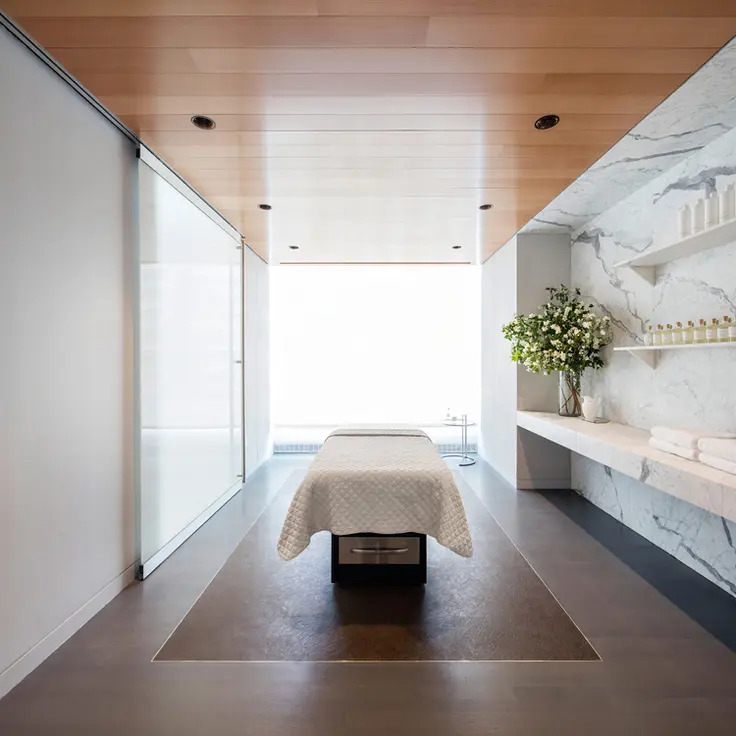 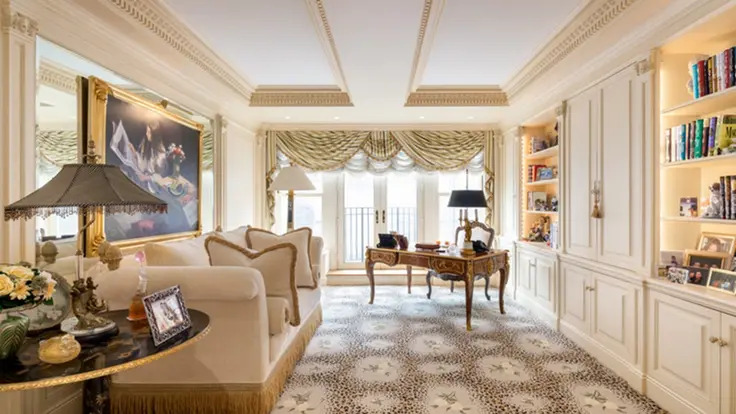 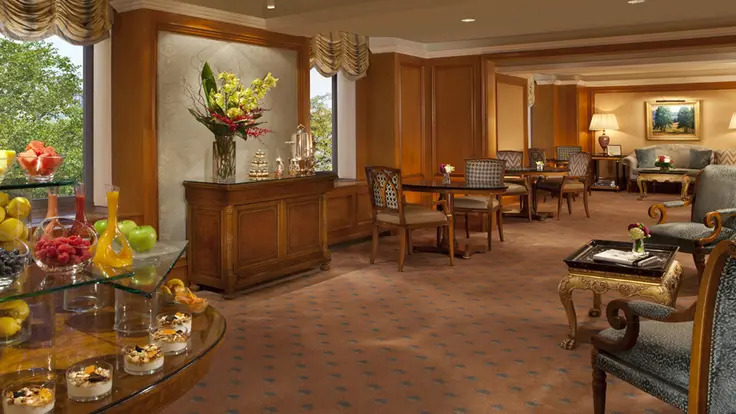 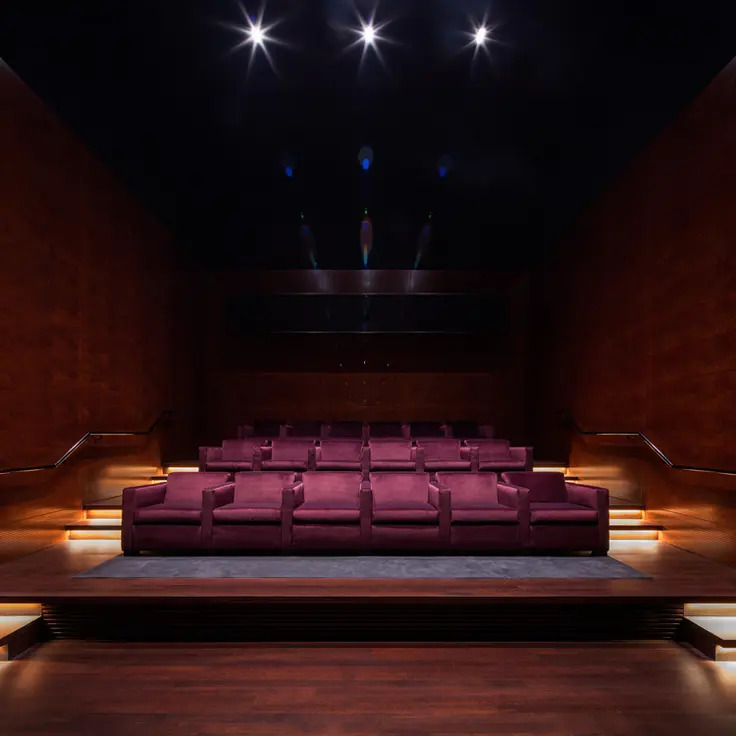 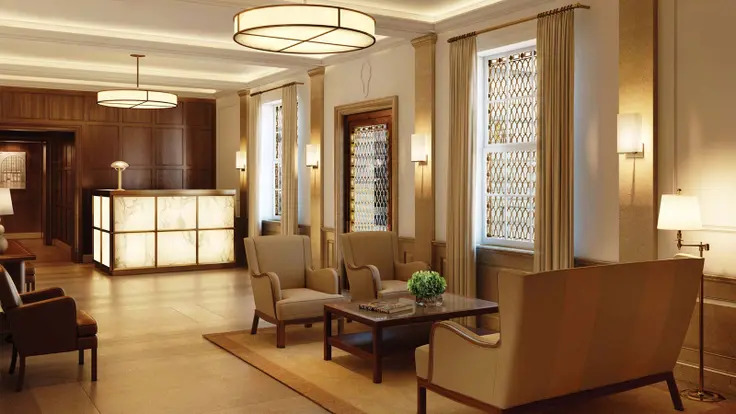 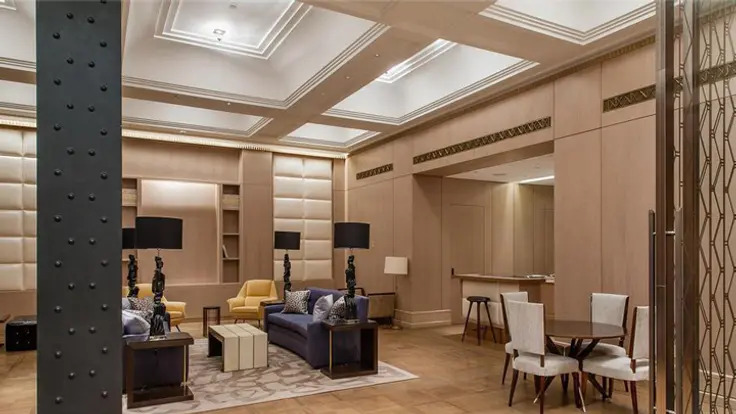 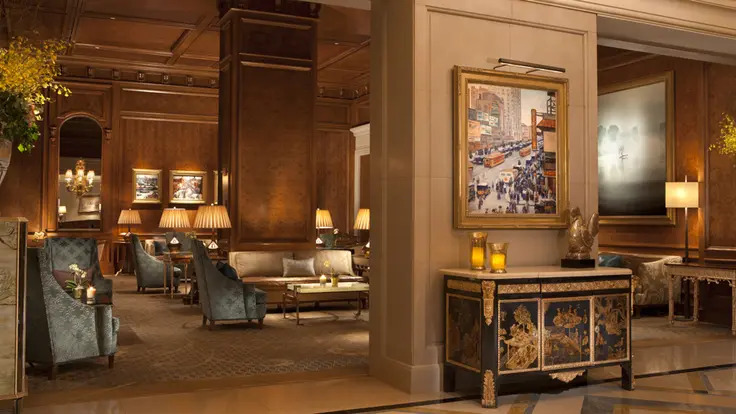 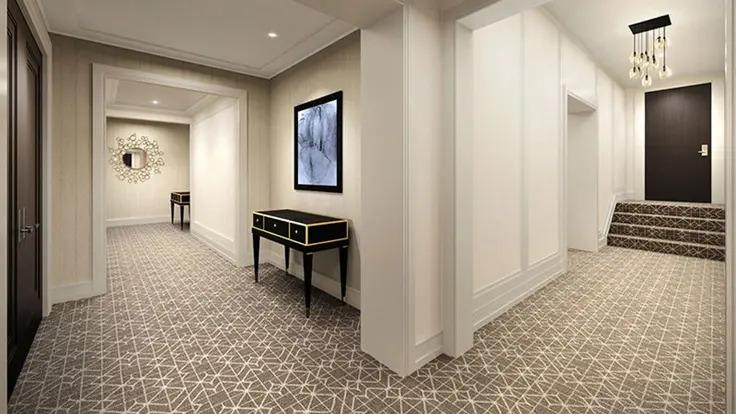 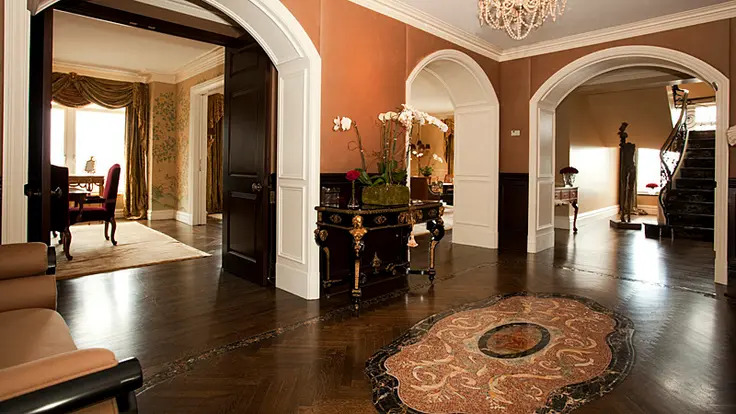 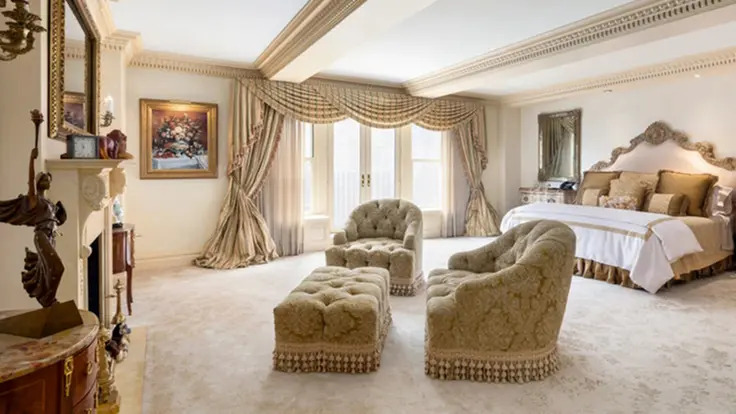 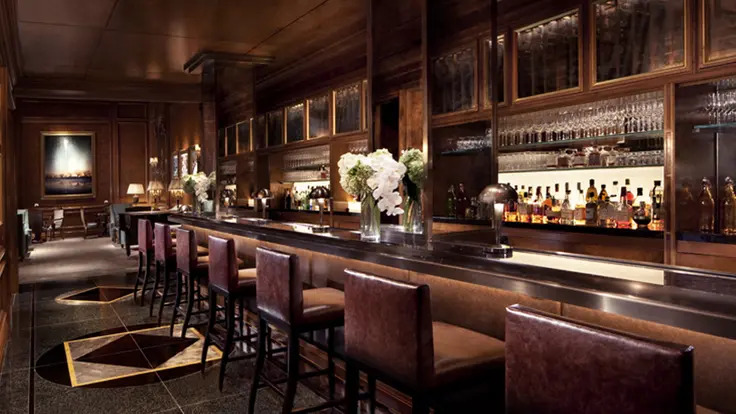 Beyer Blinder Belle was the architectural firm handling the conversion and Champalimaud Interior Design, which has worked recently on interiors at the Waldorf-Astoria Hotel and the Pierre Hotel, was responsible for the interiors. 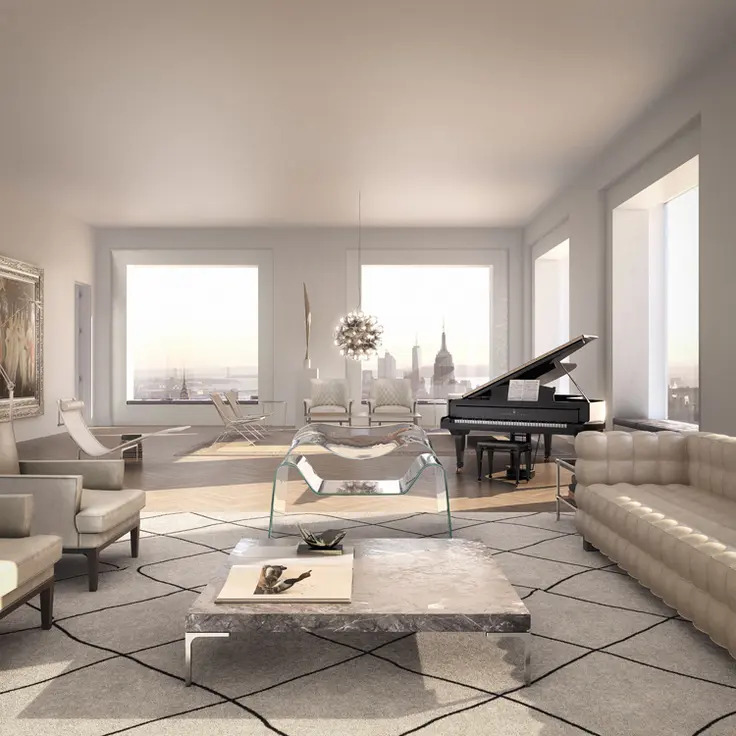 JZS Madison LLC, an affiliate of the Straus Group, was the developer. 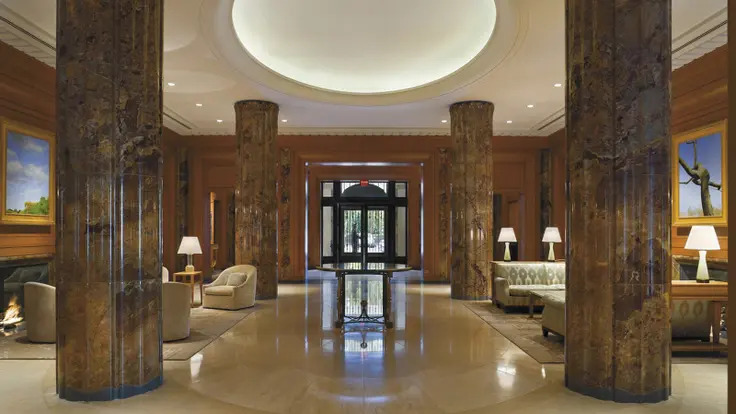 The Straus Group is headed by Daniel E. Straus, who purchased the properties in the complex from the museum for $95 million. 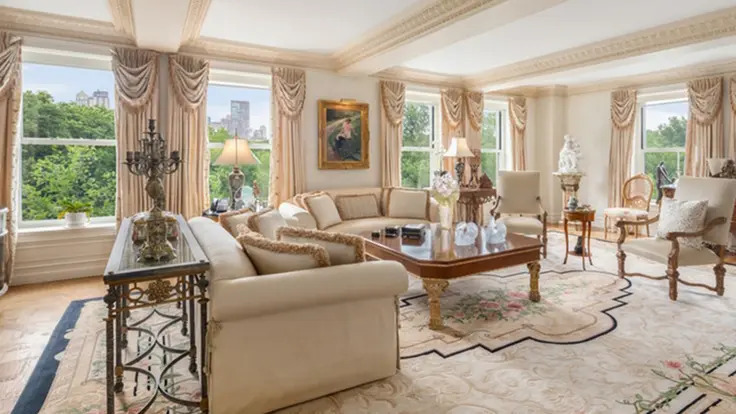 A January 14, 2014 article in The New York Daily News by Matt Chaban said that “in 1984, he and his brother took over their dad’s five nursing homes in North Jersey” and “turned them into one of the largest assisted-living empires in the Northeast - leading to a $1 billion sale in 1997." 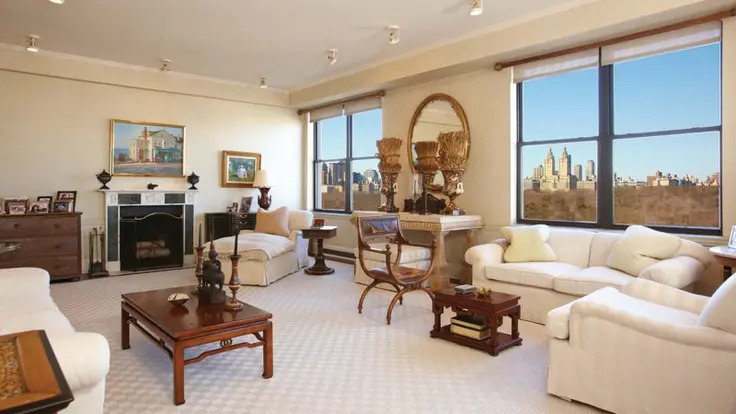 Completed in 2000, 515 Park Avenue has only 30 apartments on 43 floors and is the tallest building on Park Avenue in the Upper East Side. 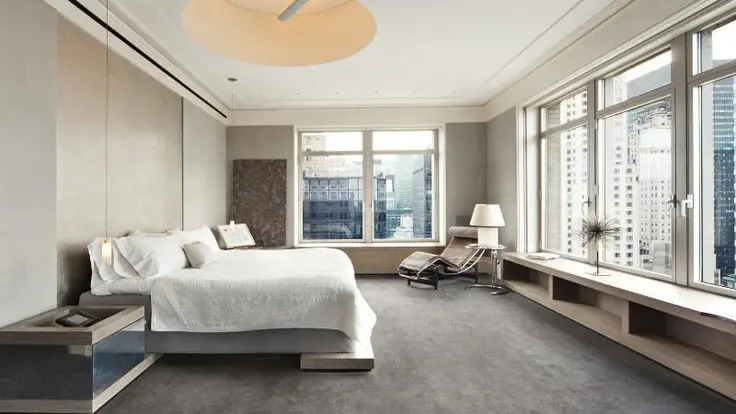 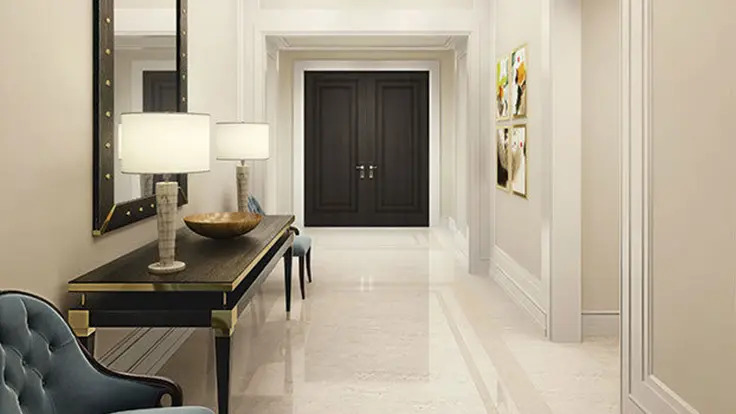 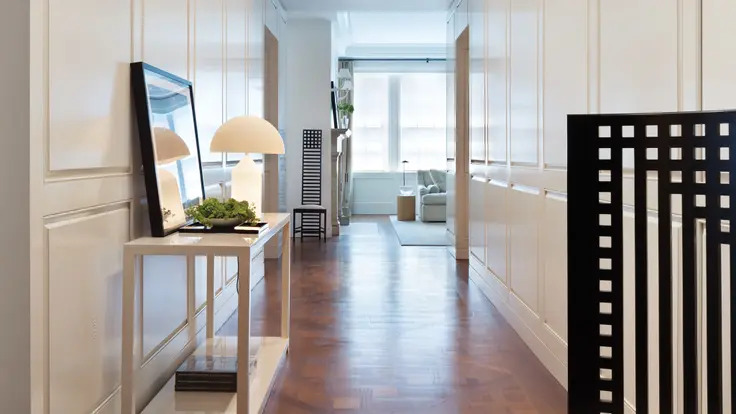 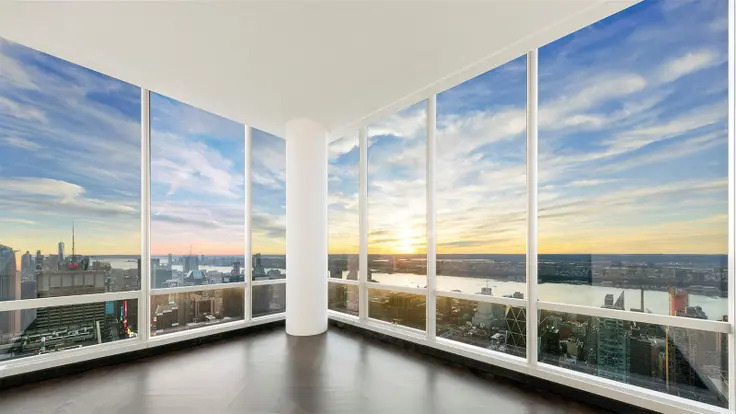 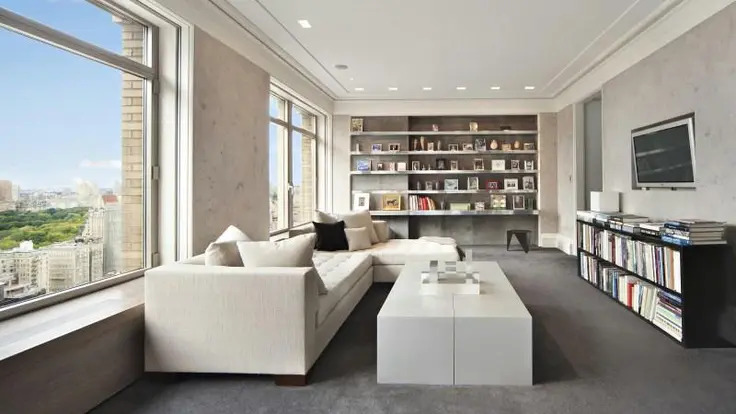 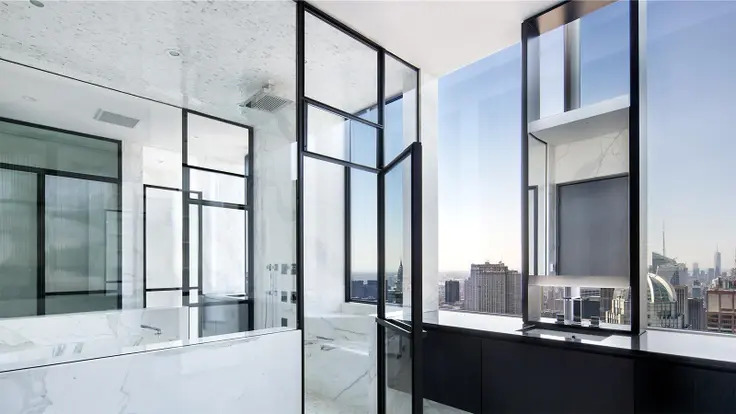 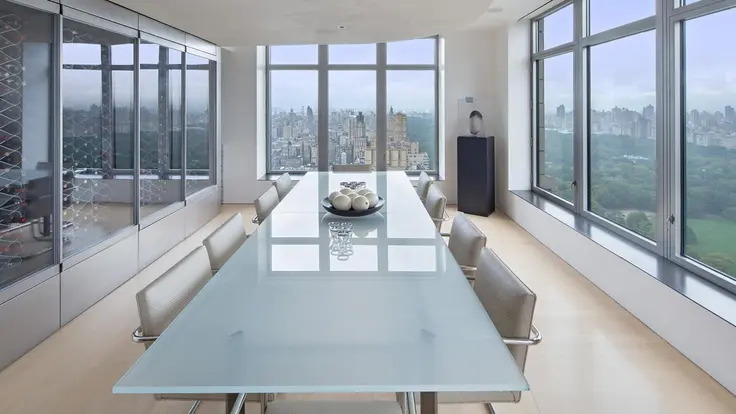 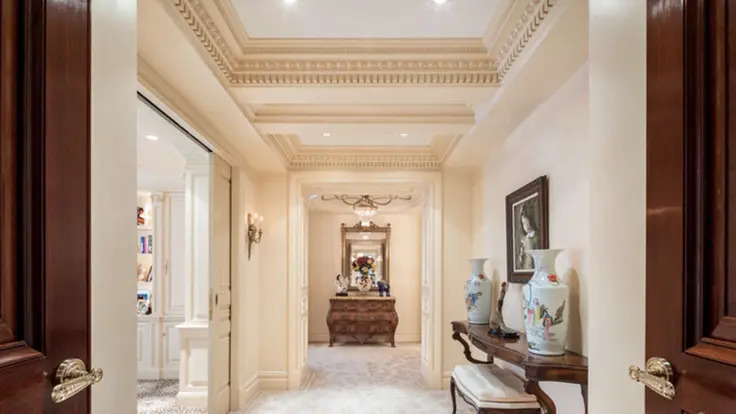 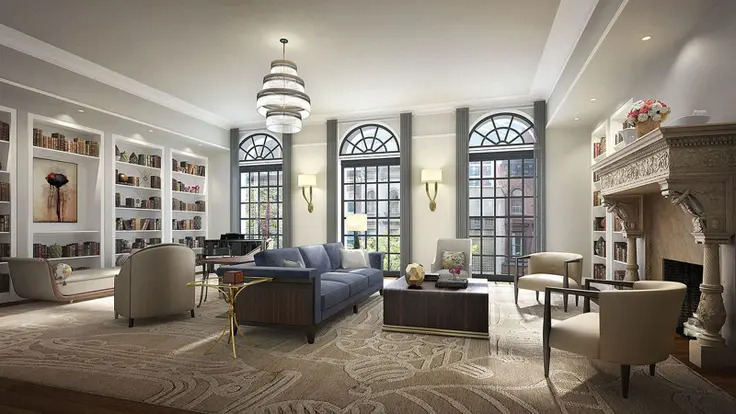 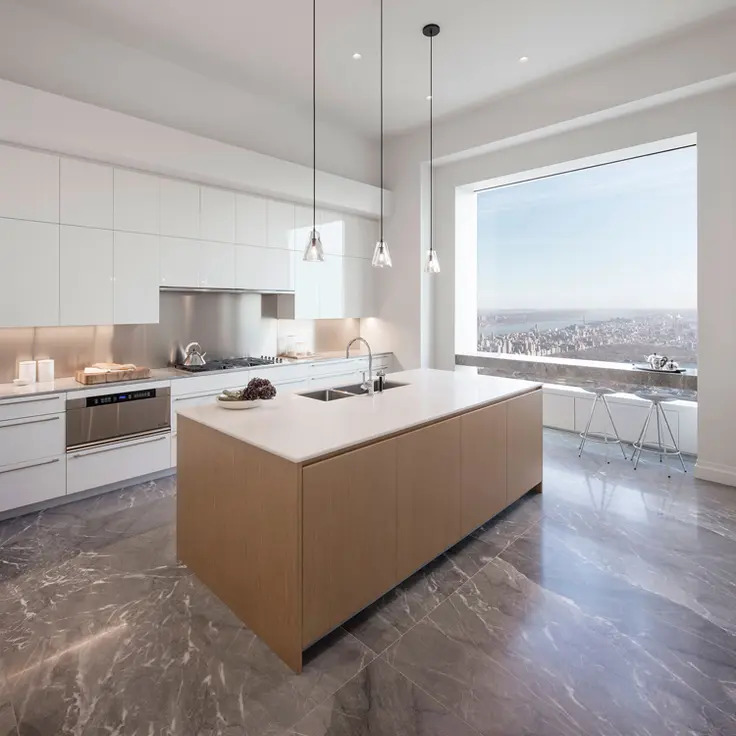 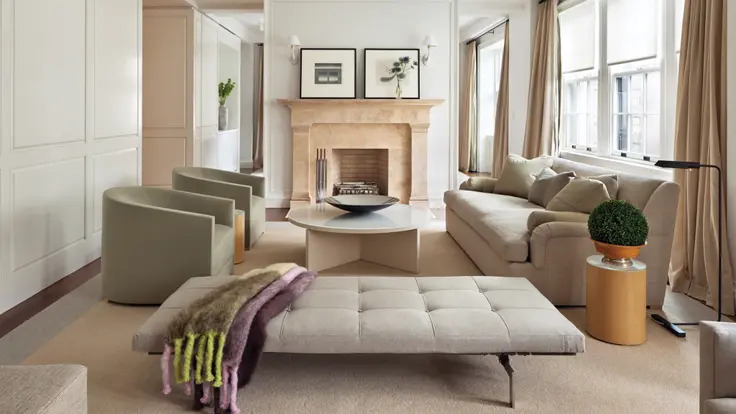 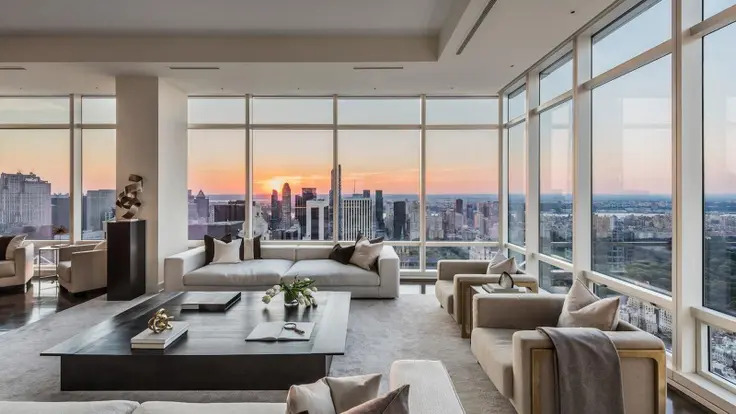 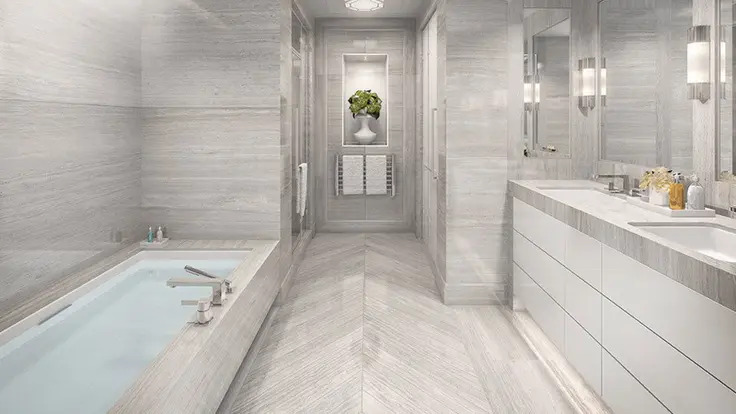 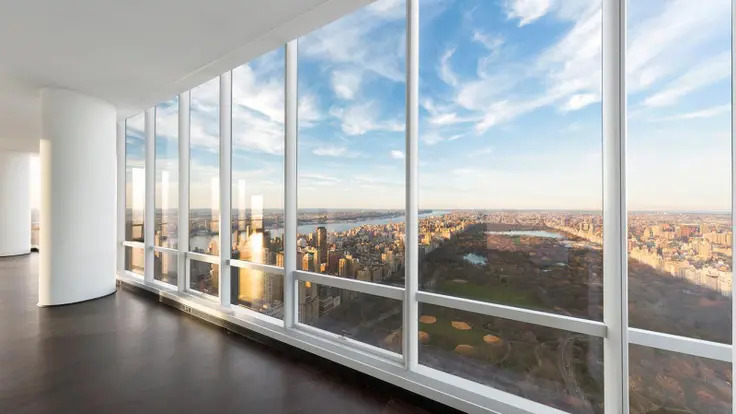 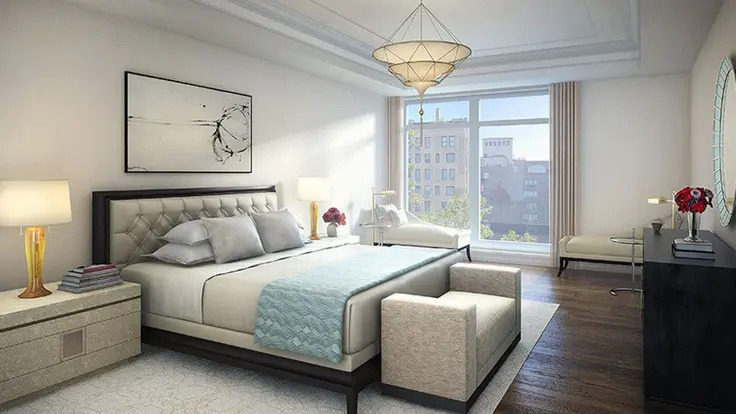 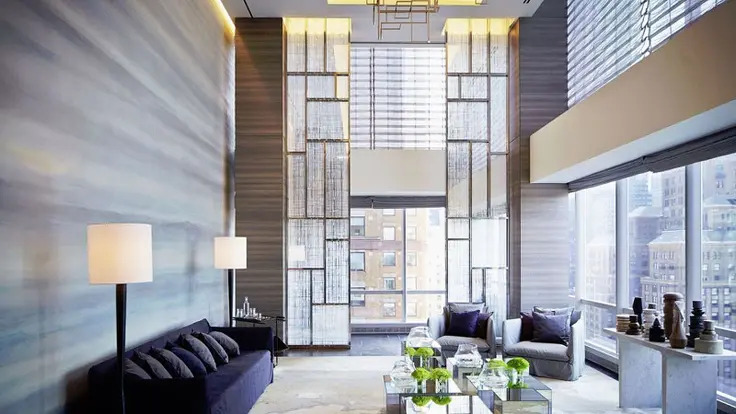 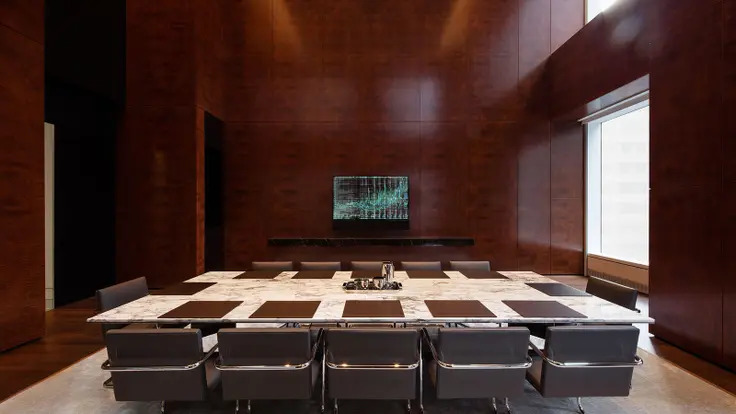 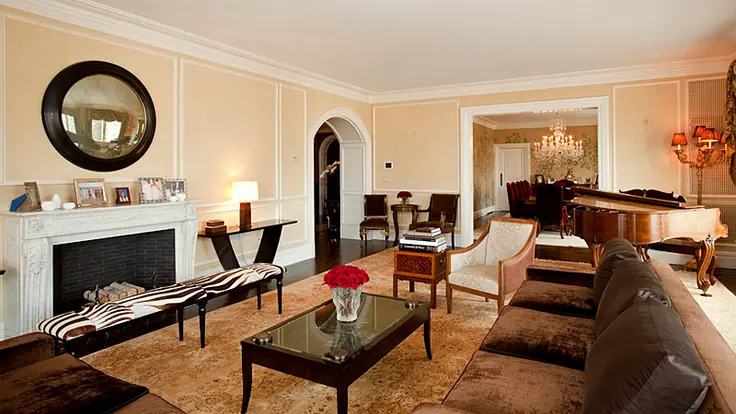 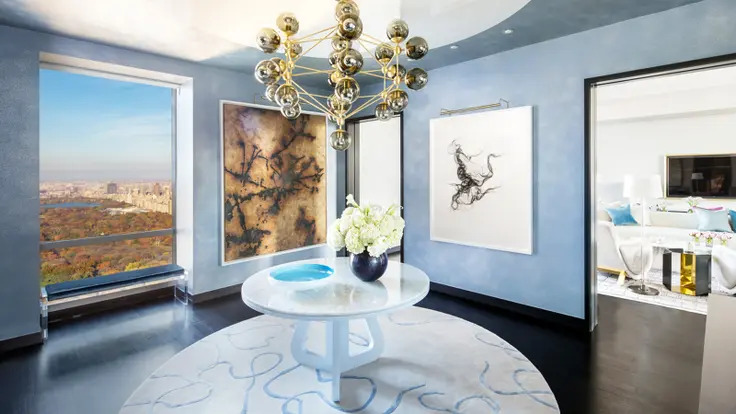 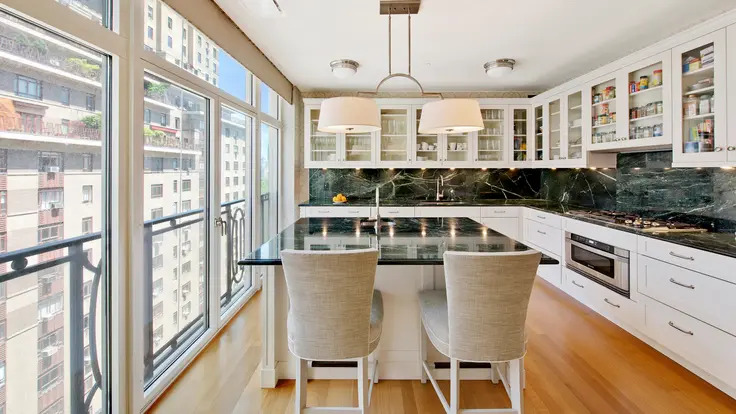 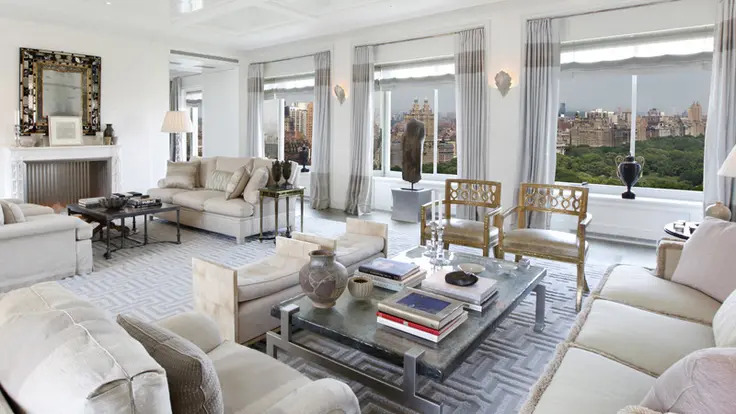 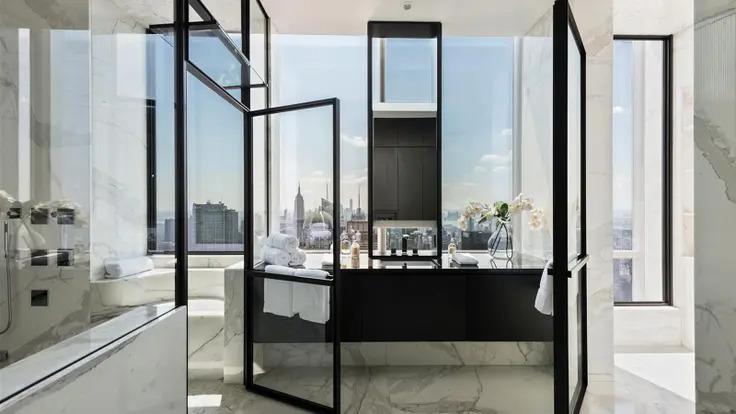 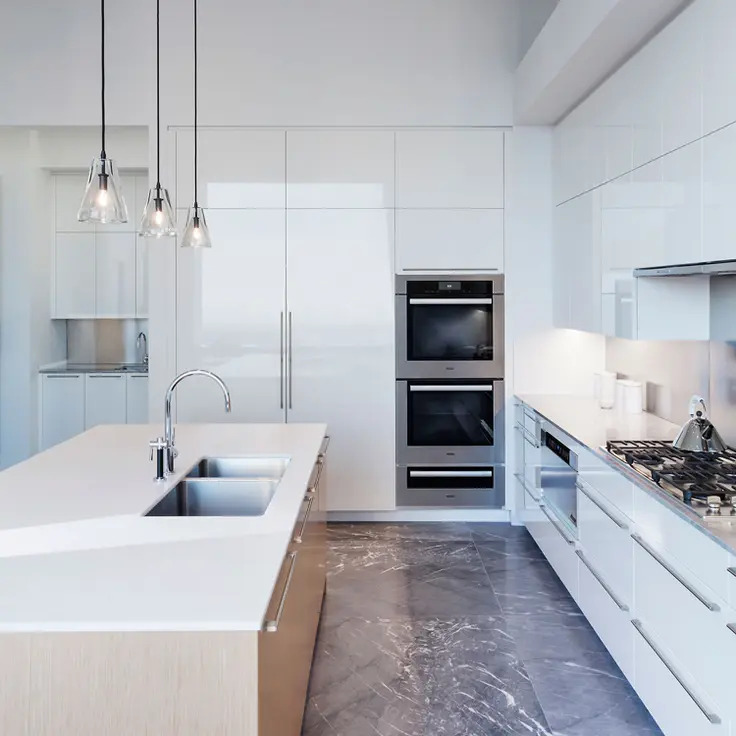 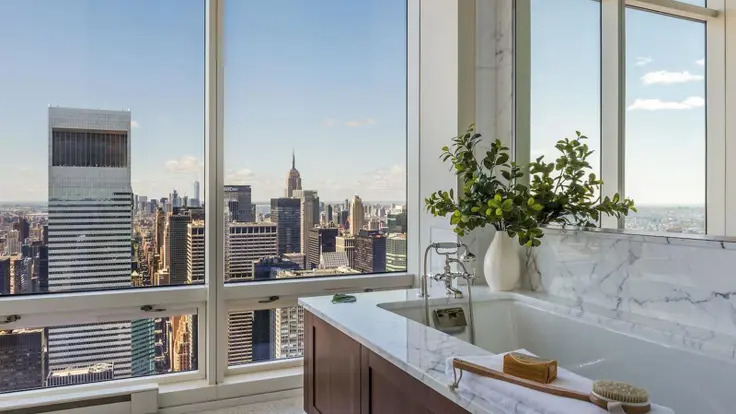 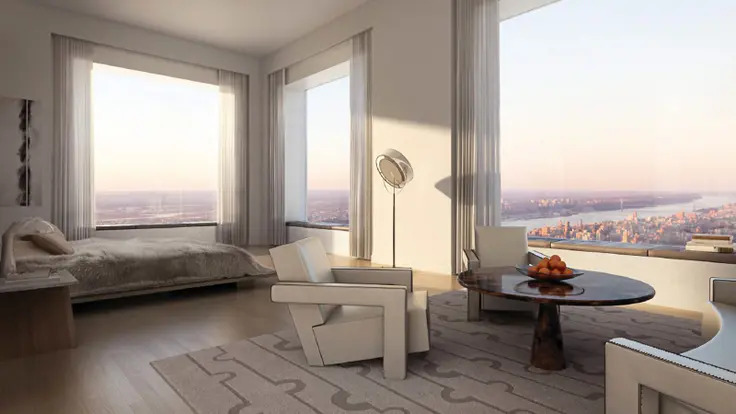 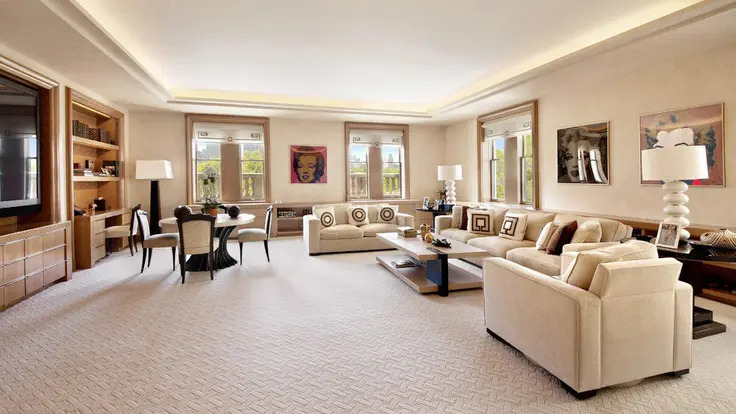 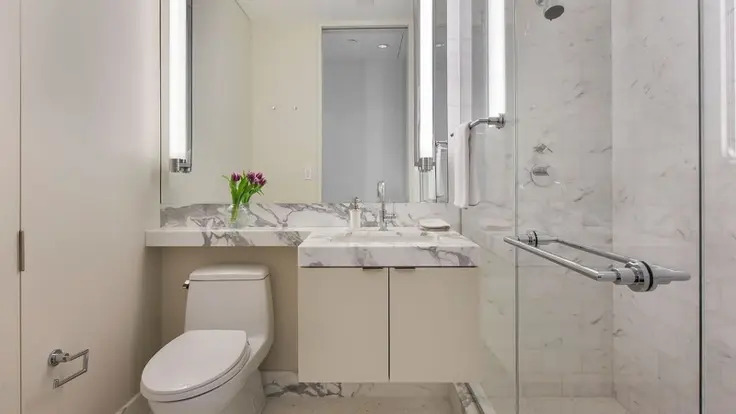 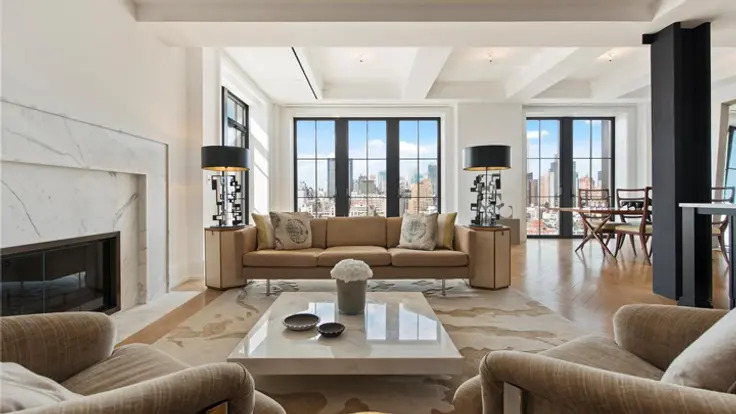 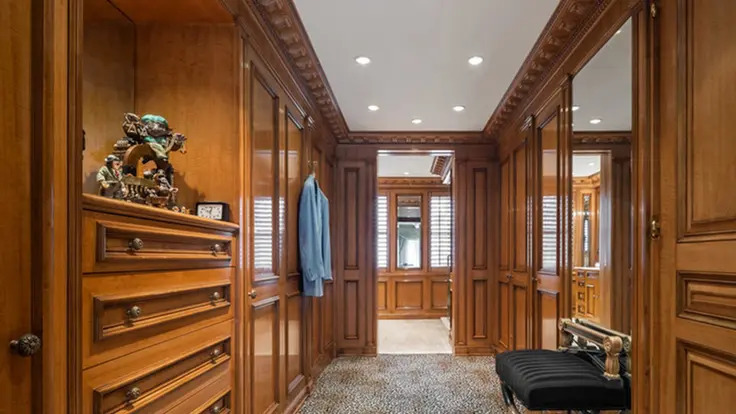 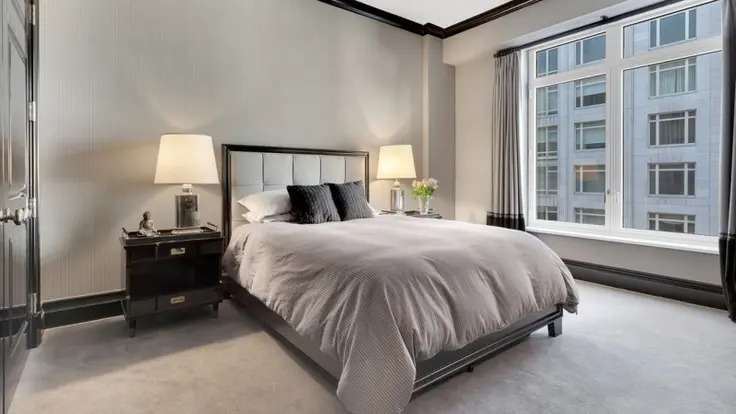 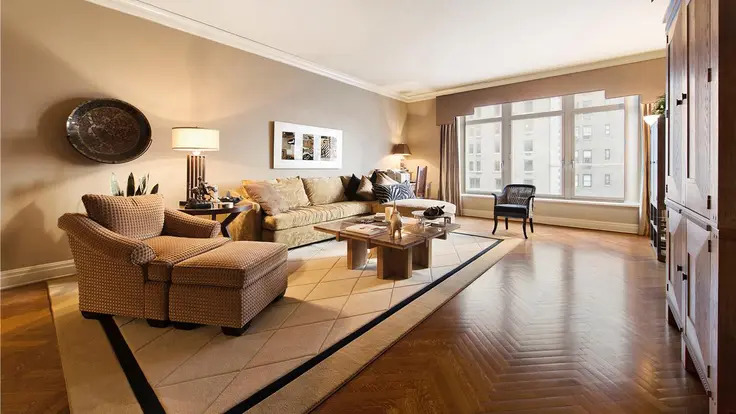 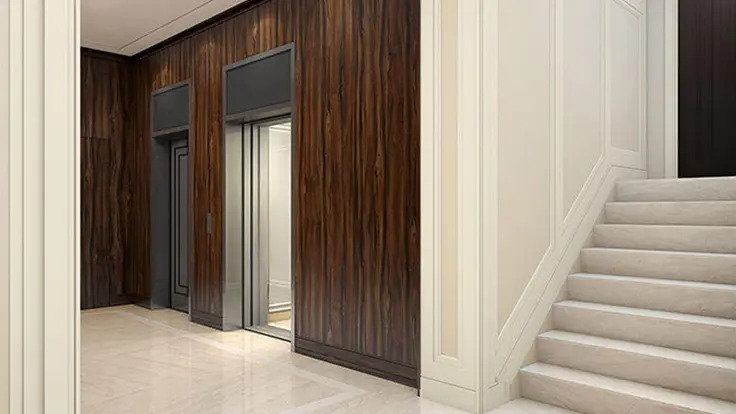 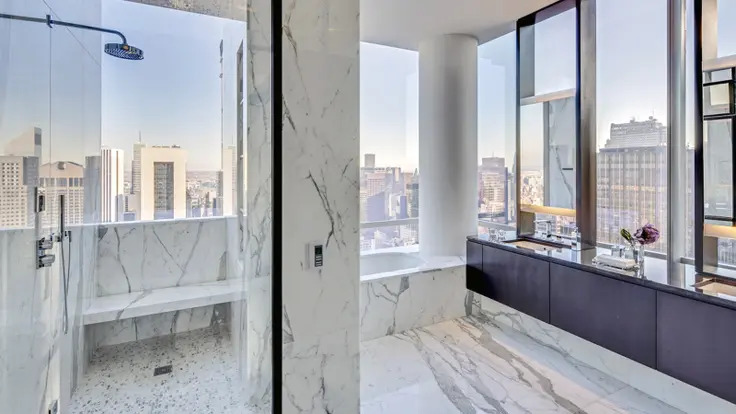 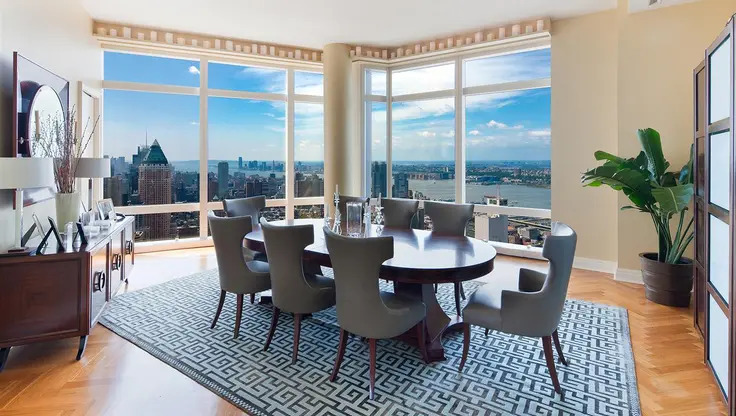 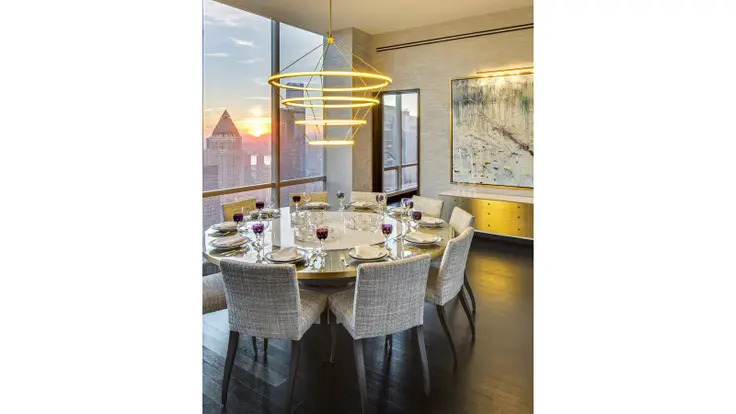 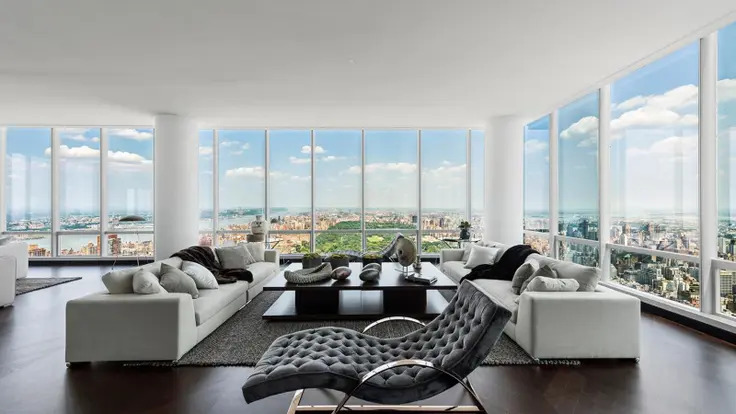 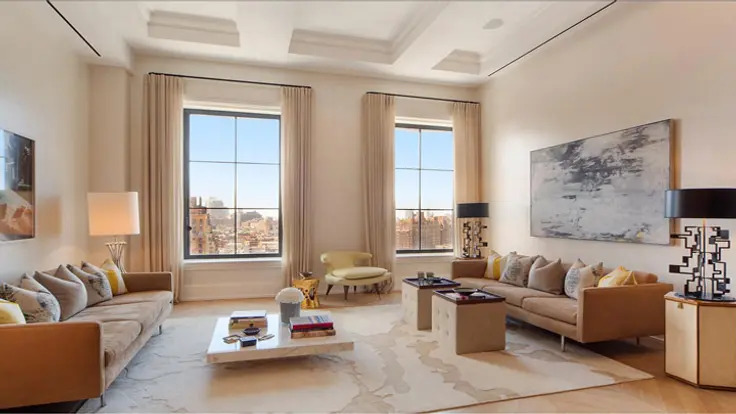 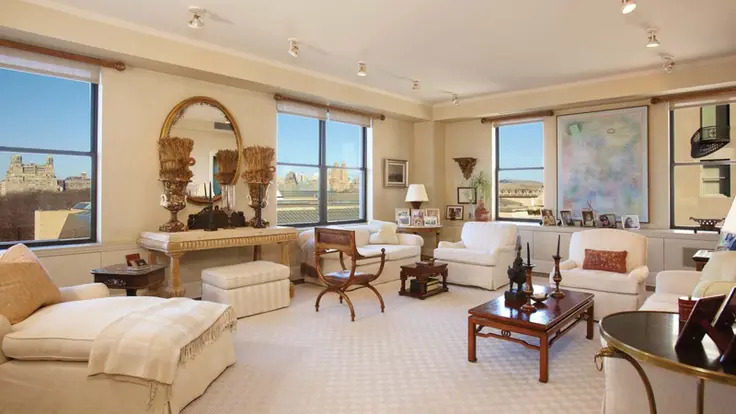 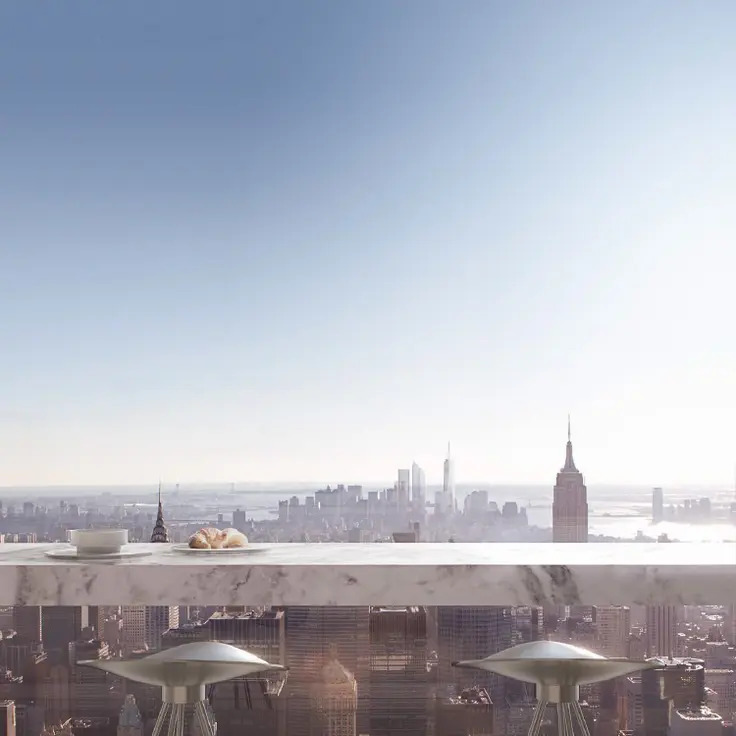 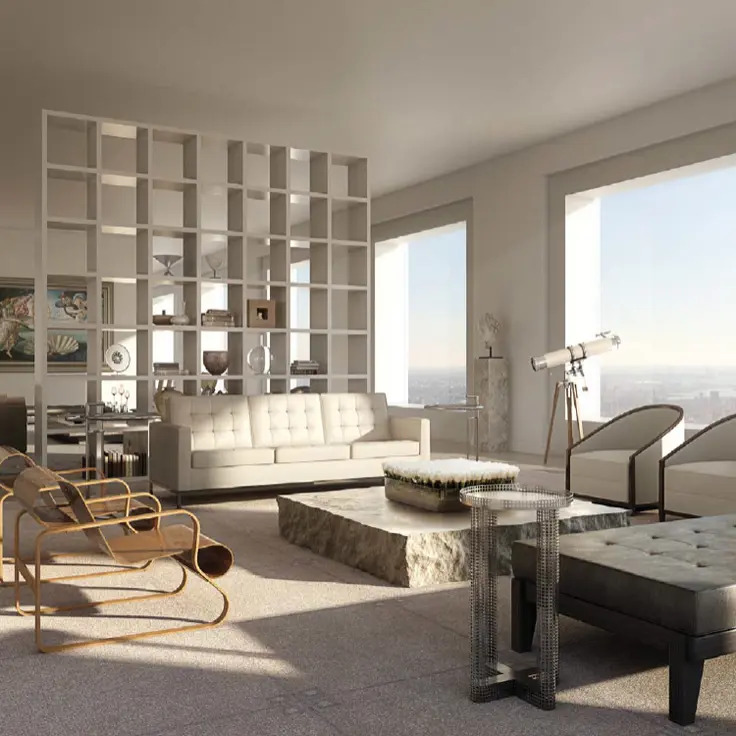 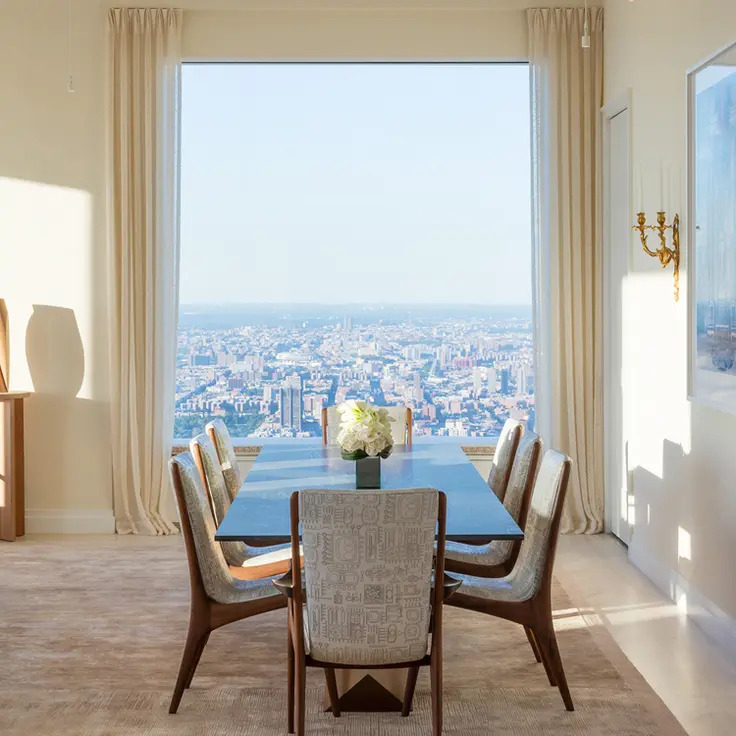 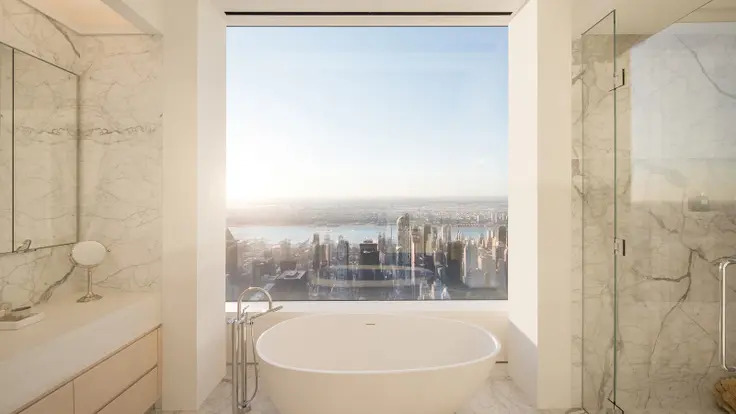 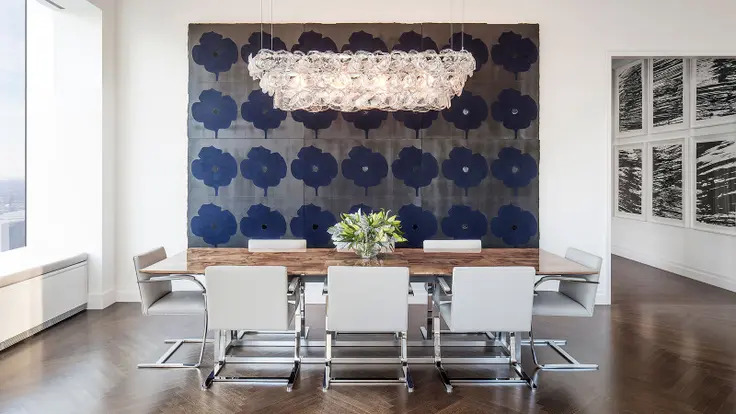 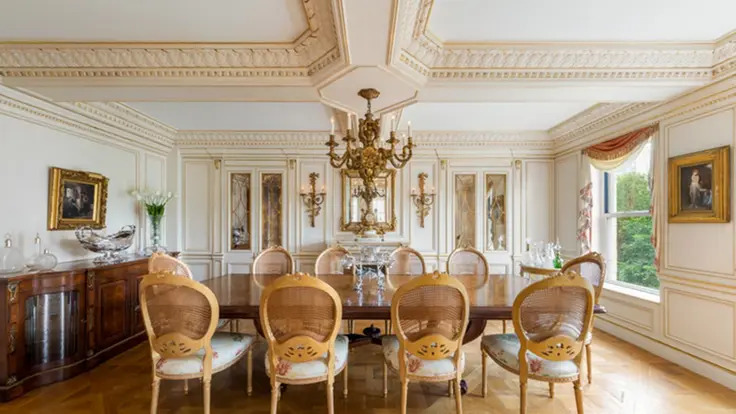 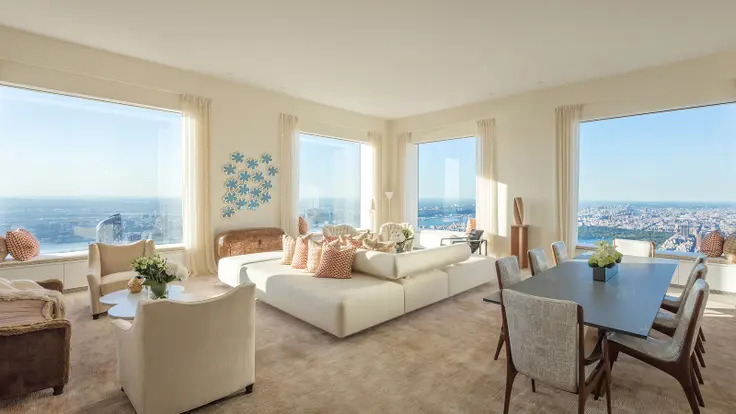 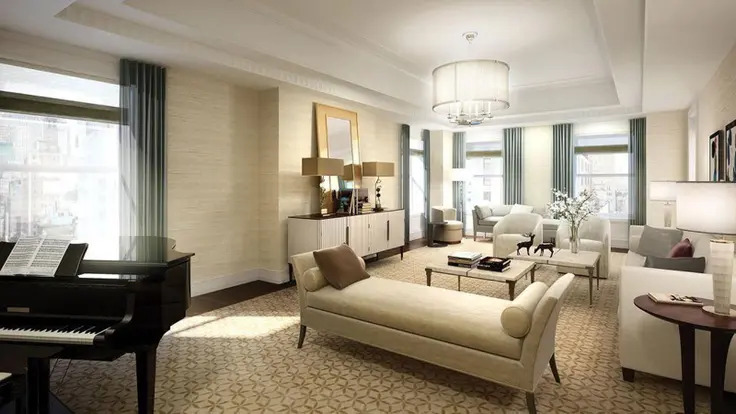 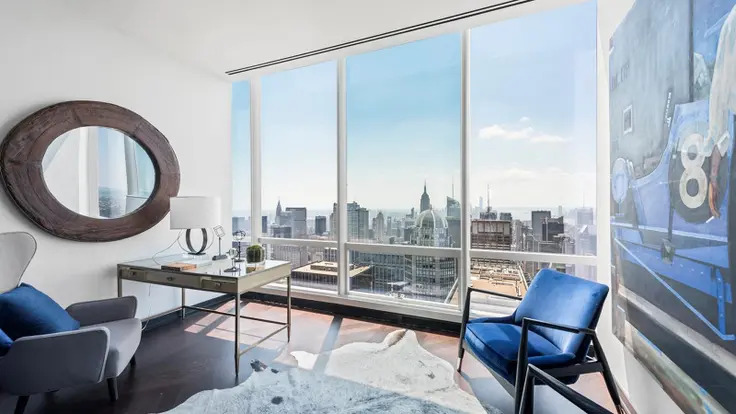 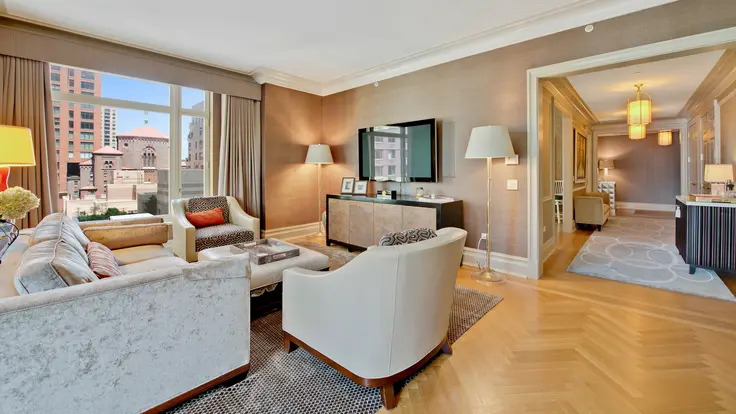 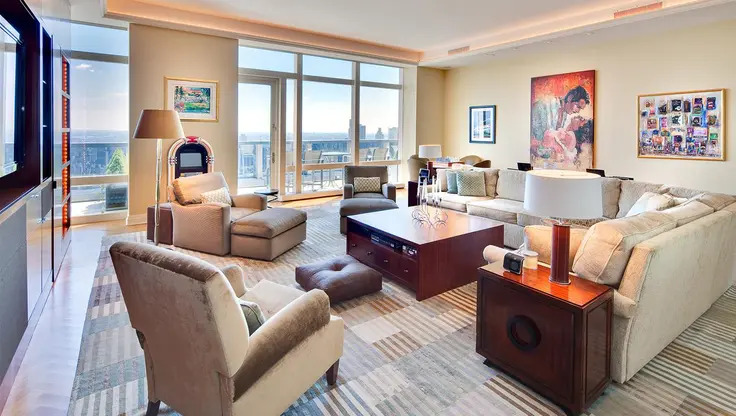 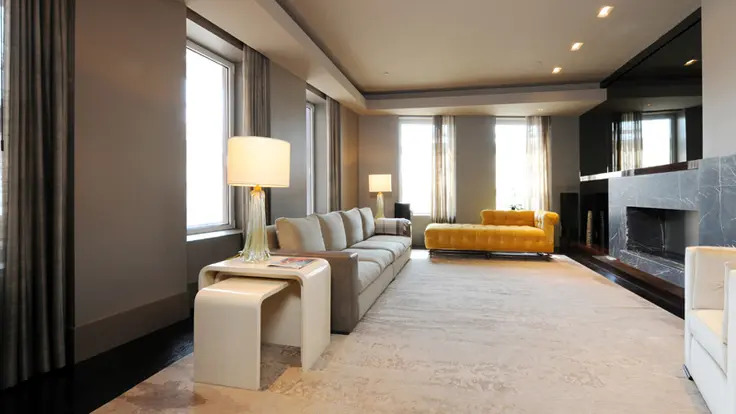 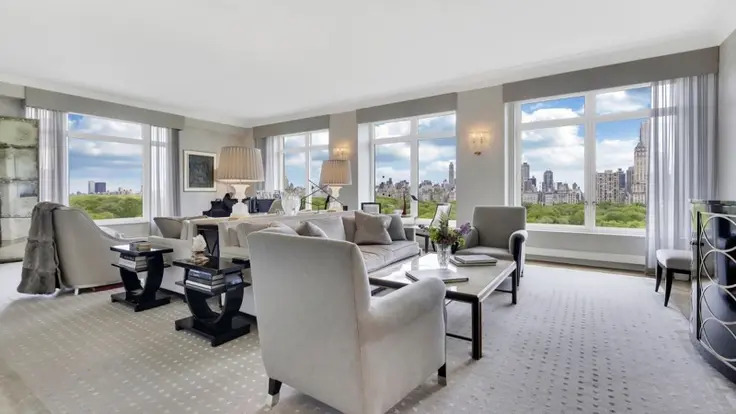 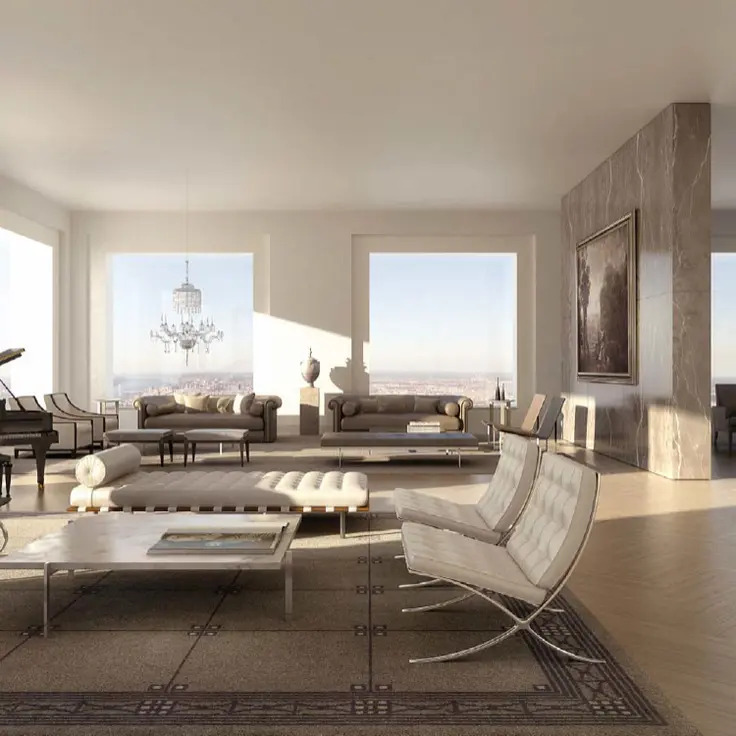 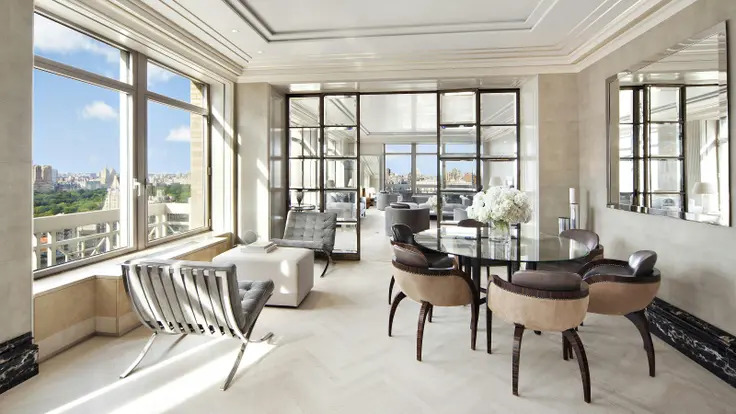 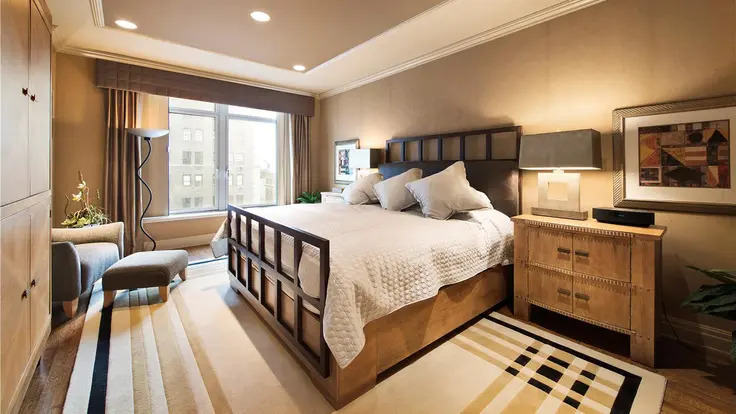 Residences at 515 Park Avenue are designed on a grand scale: some apartments have large terraces and its designers took care to employ expert craftsmanship in such details as mahogany paneled libraries, coffered ceilings, marble and herringbone wood floors and cherry wood cabinetry. 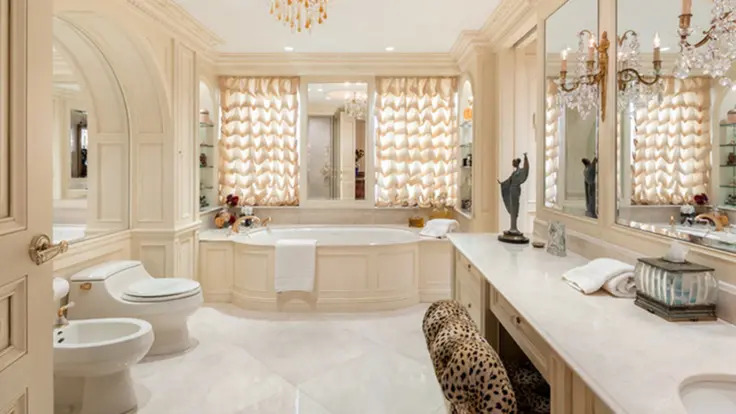 Other features include fireplaces, billiard rooms, high ceilings, granite and marble countertops, marble bathrooms and butler’s pantries. 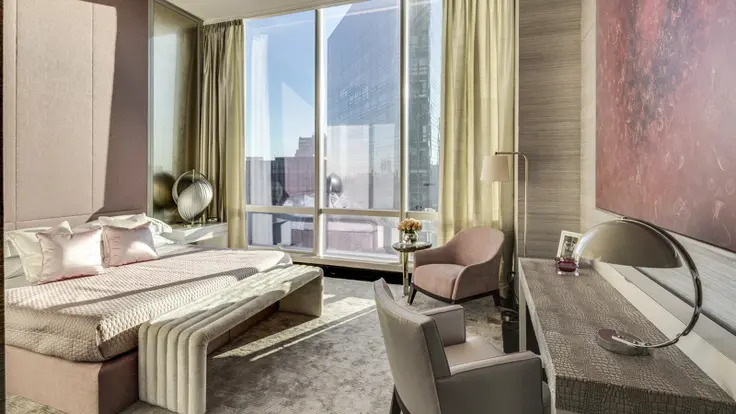 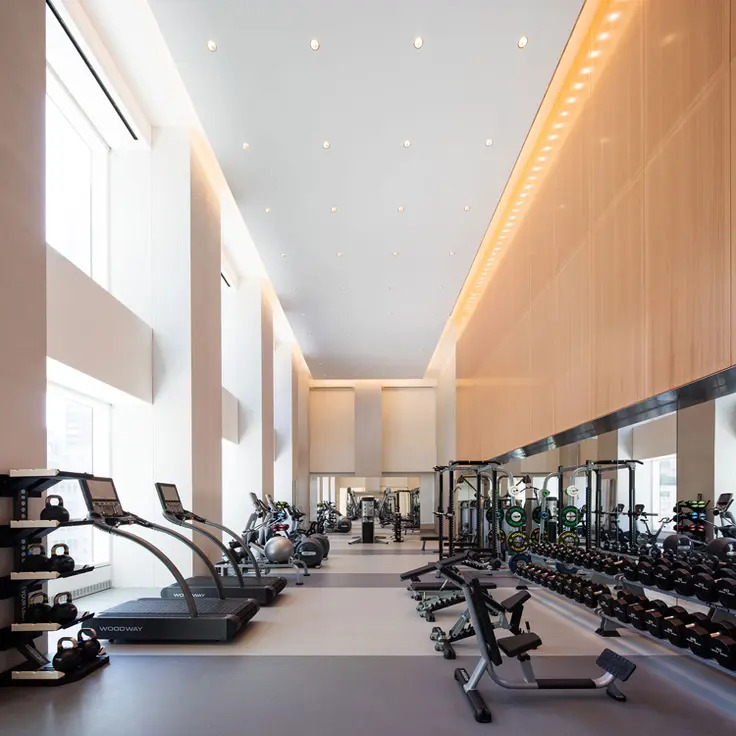 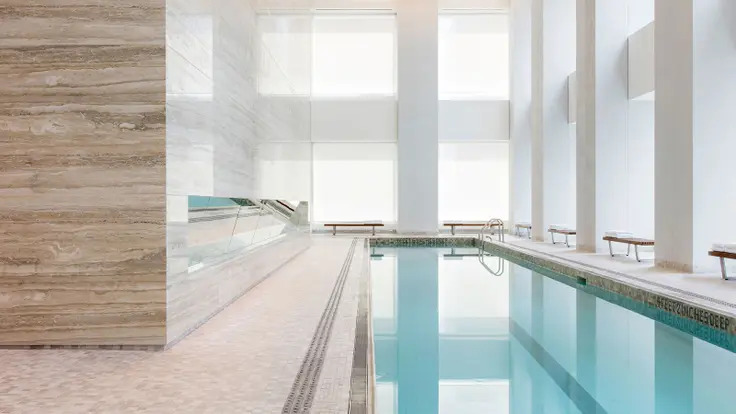 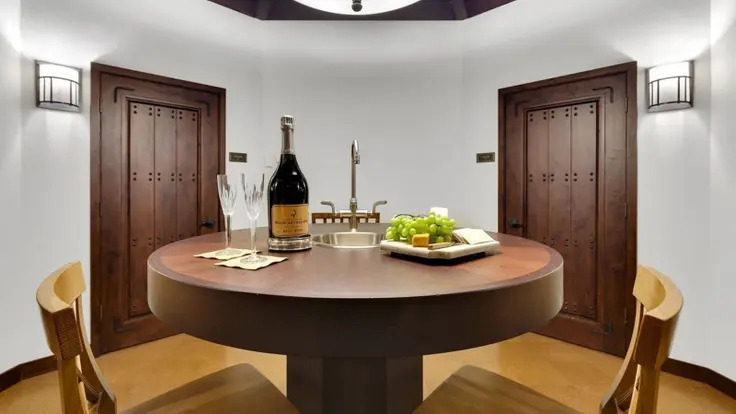 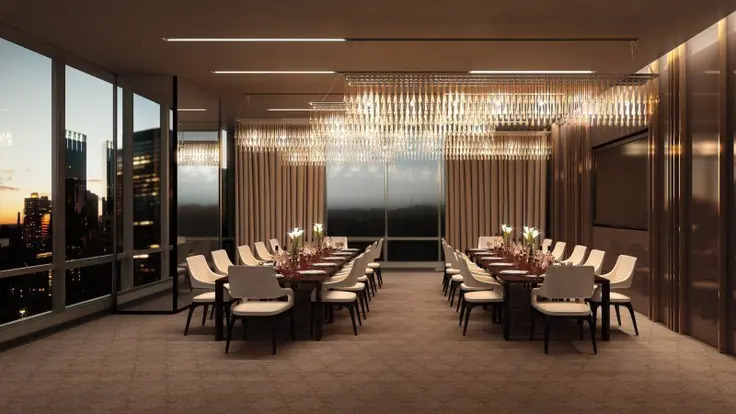 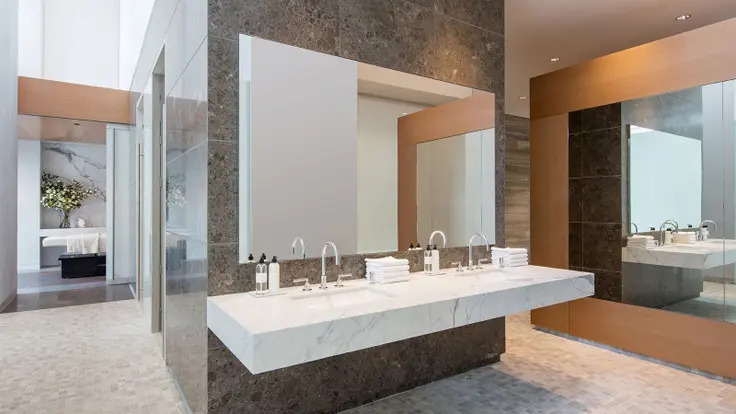 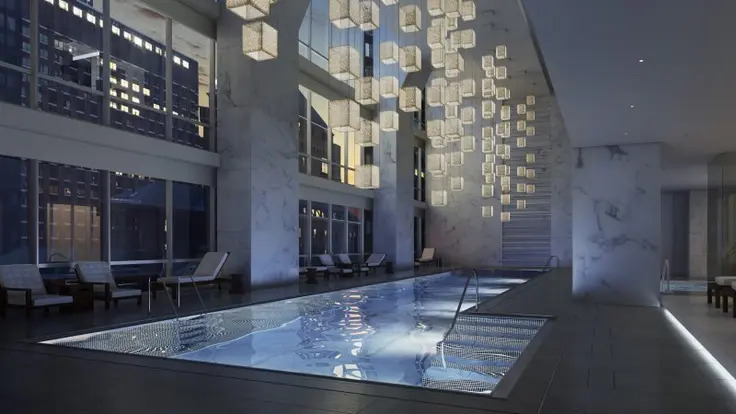 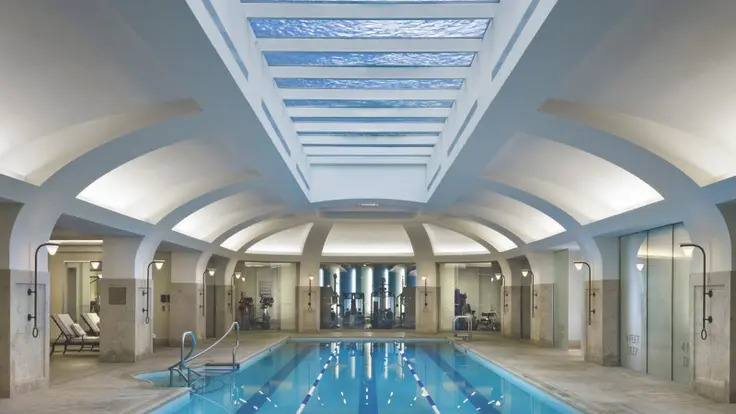 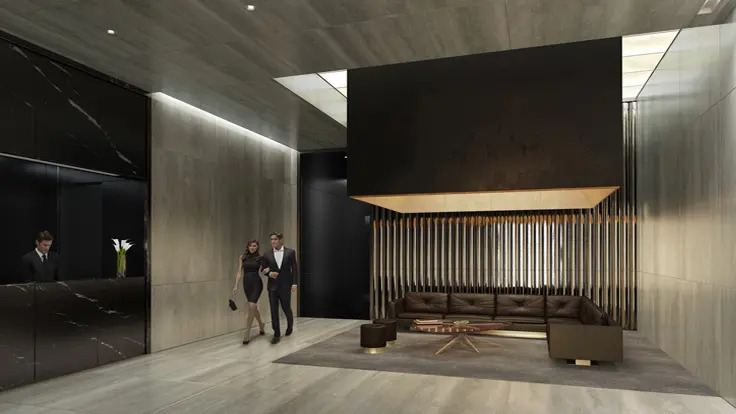 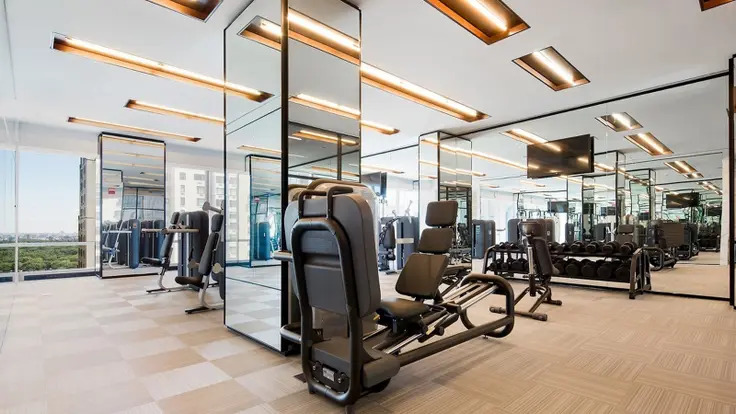 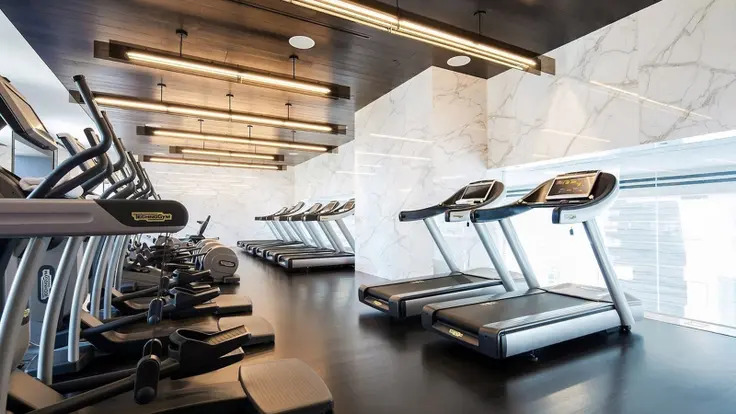 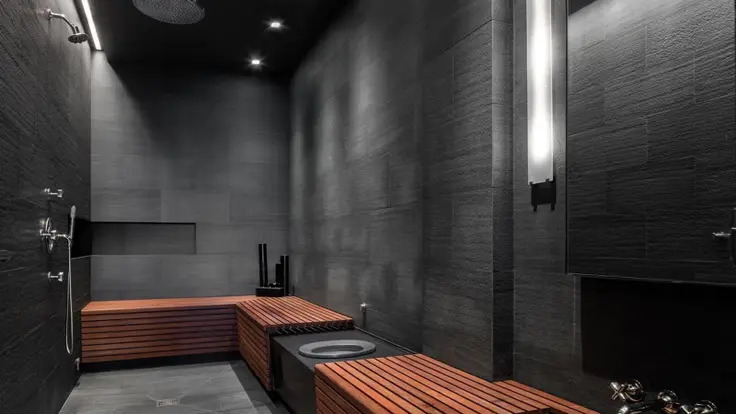 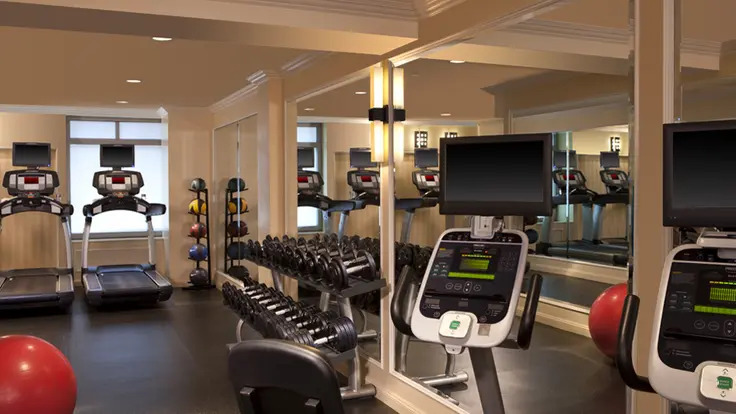 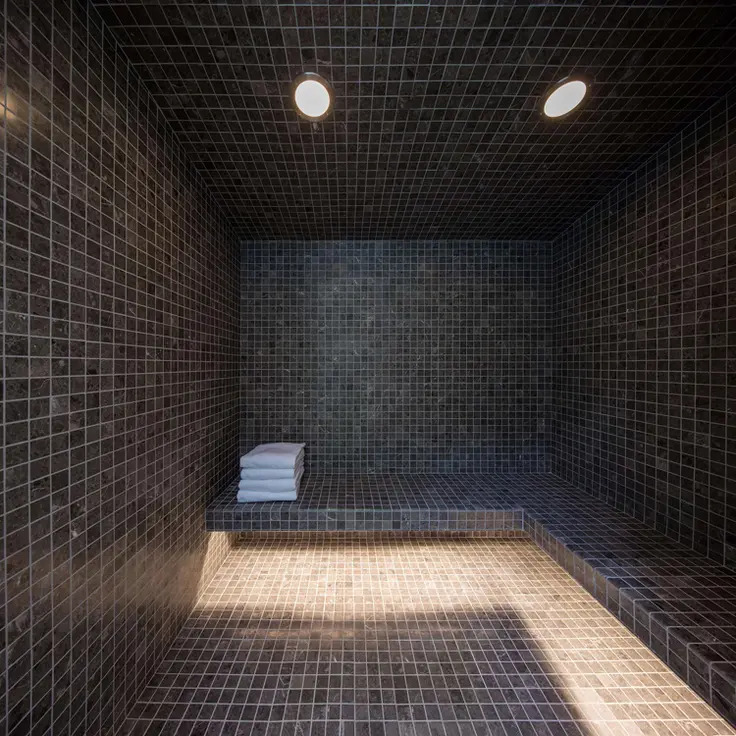 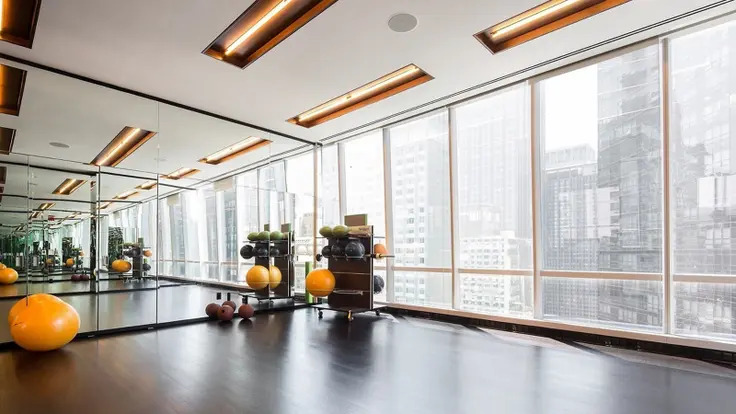 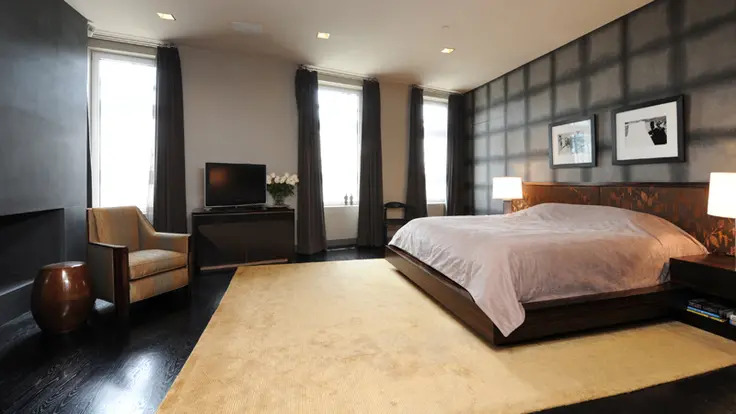 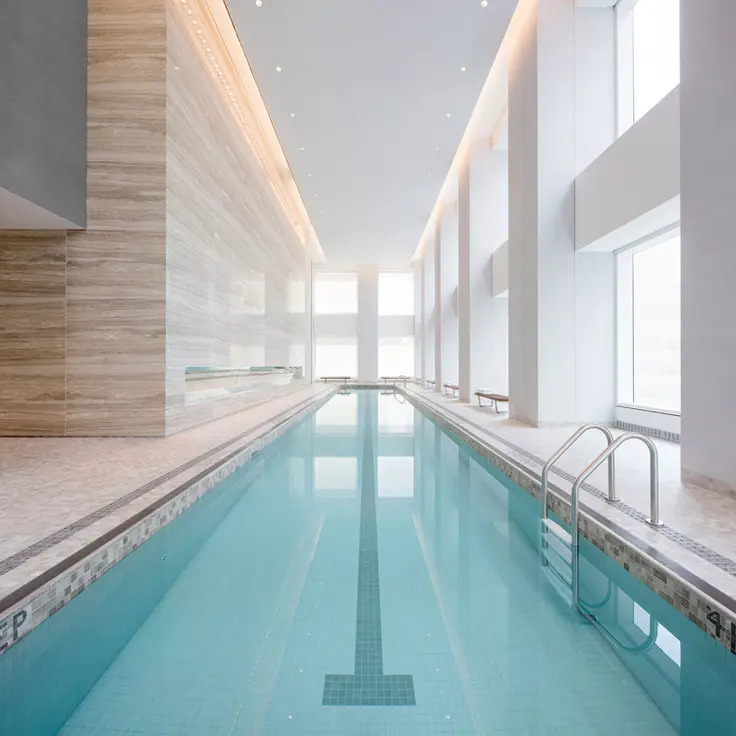 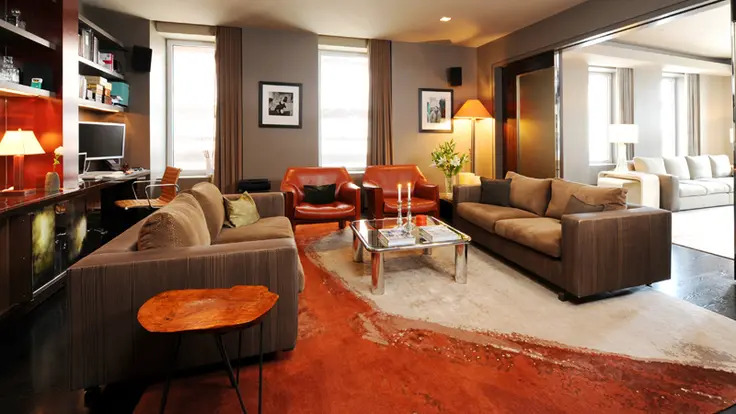 The amenities are equally impressive: there are 15 private, climate-controlled wine cellars, 38 storage rooms, a private gym with state-of-the-art equipment, a full-time doorman, concierge, valet services, a dining room and individual staff suites on the second floor for residents’ use. 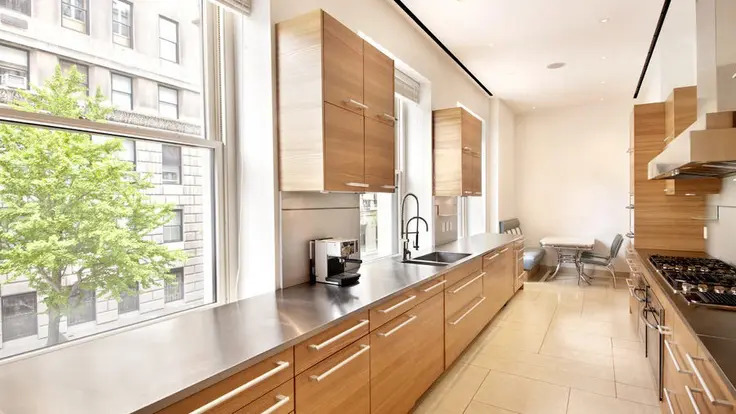 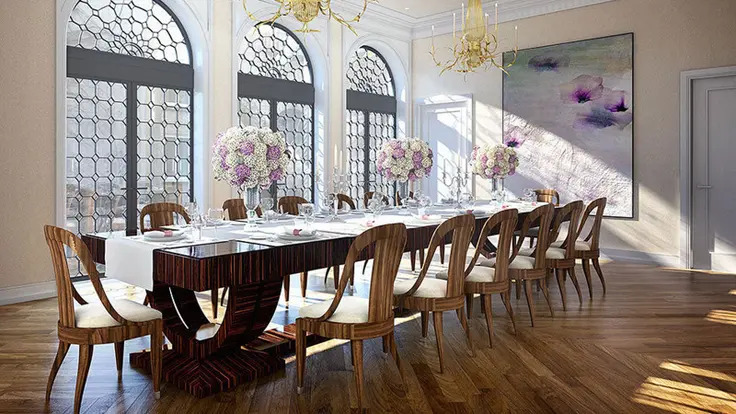 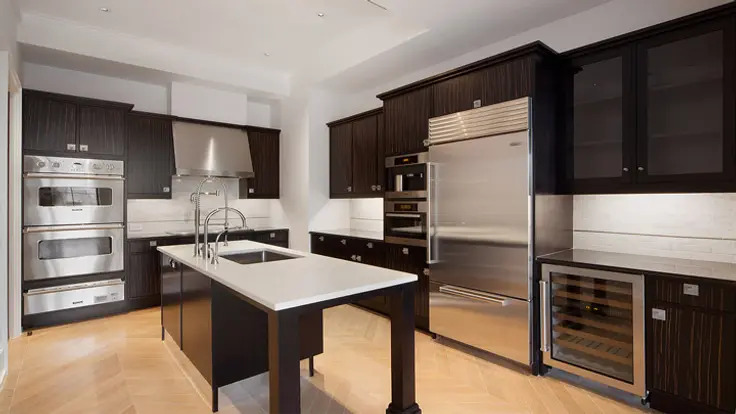 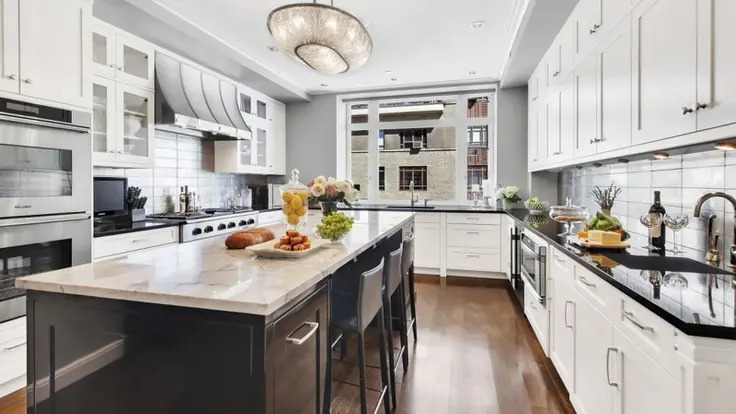 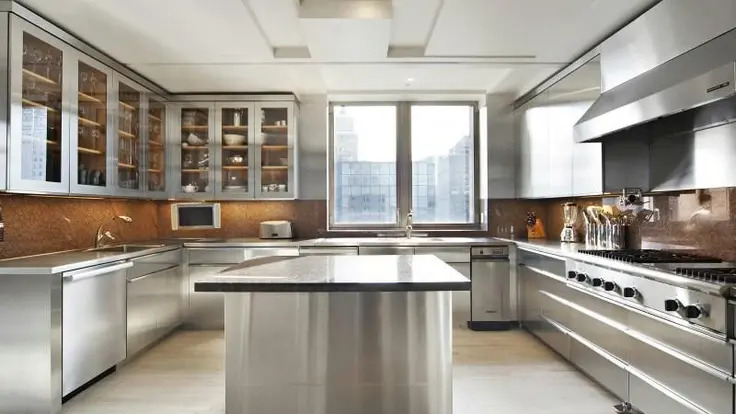 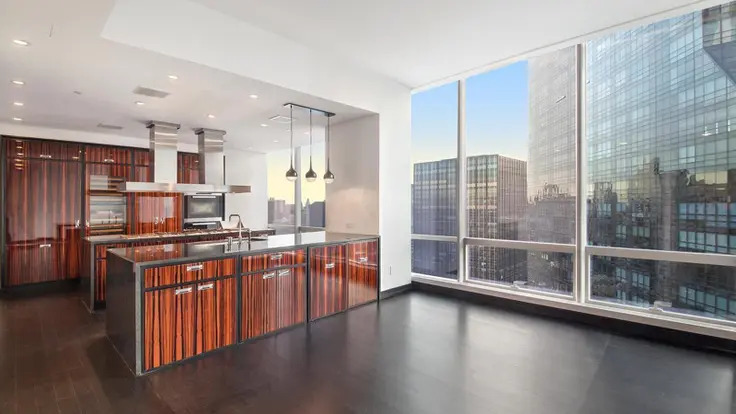 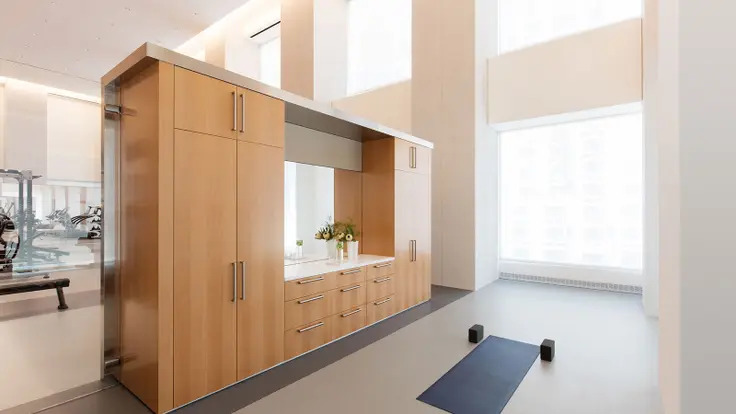 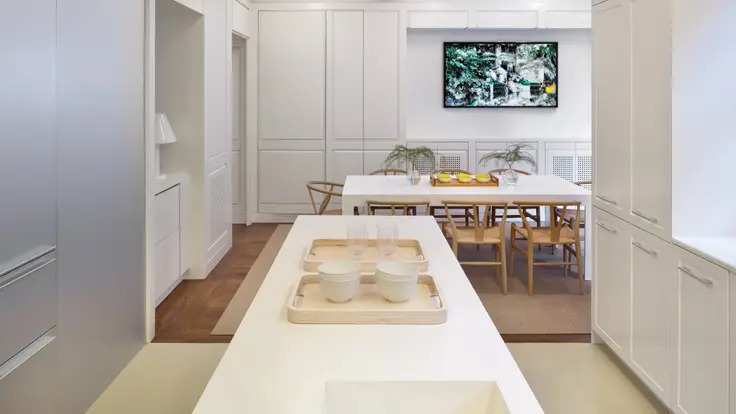 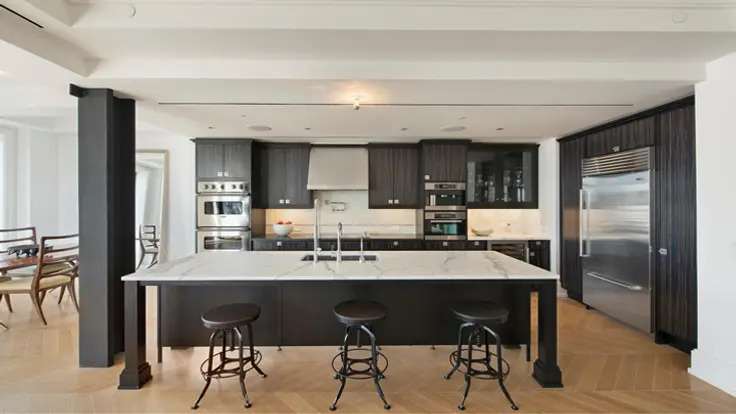 There’s also a kitchen for Chef Daniel Boulud, the exclusive caterer for 515 Park Avenue.